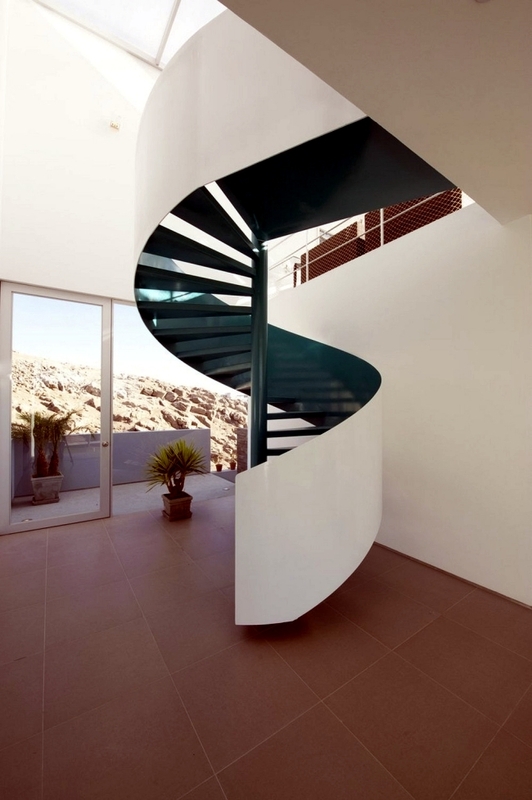 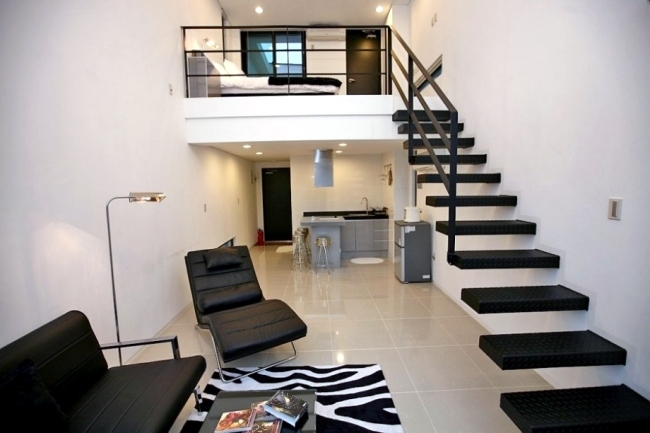 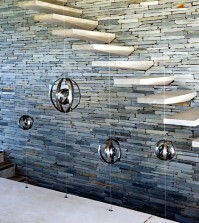 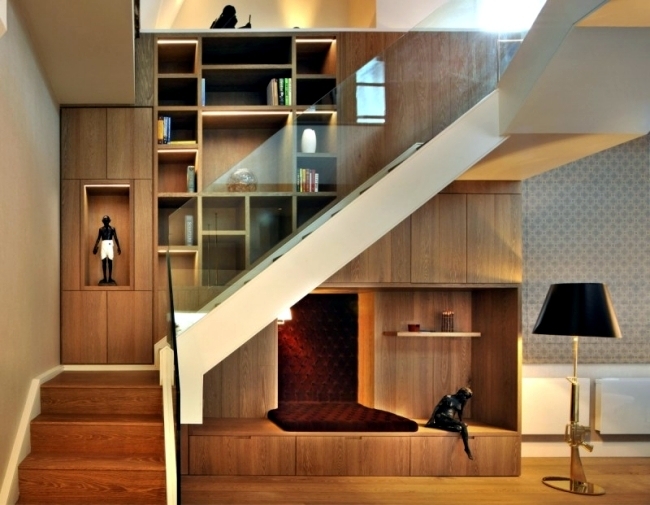 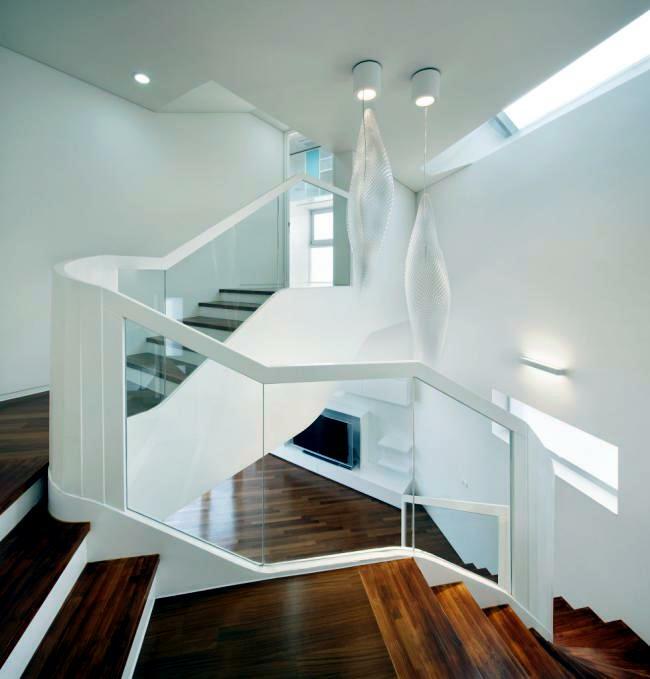 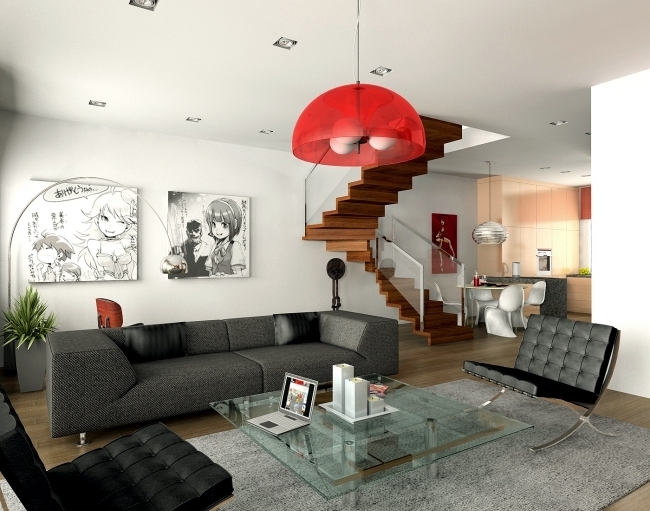 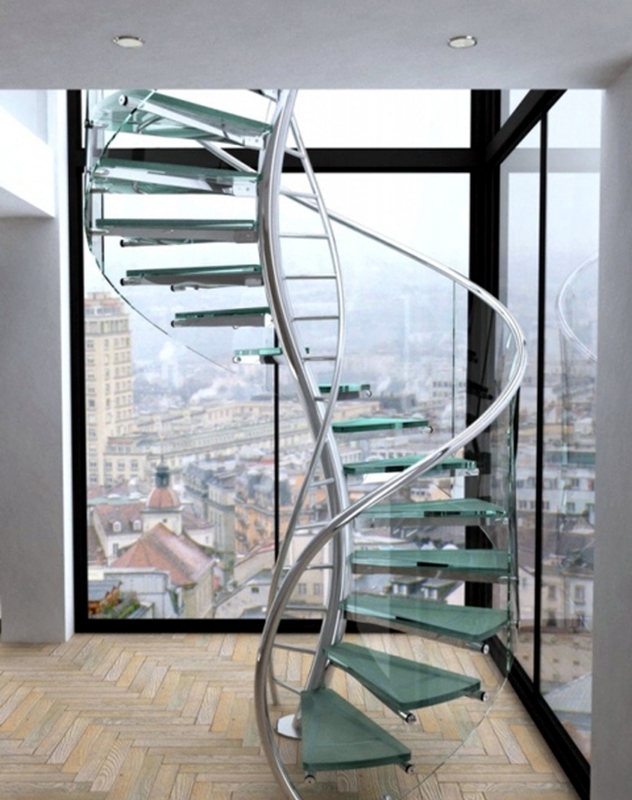 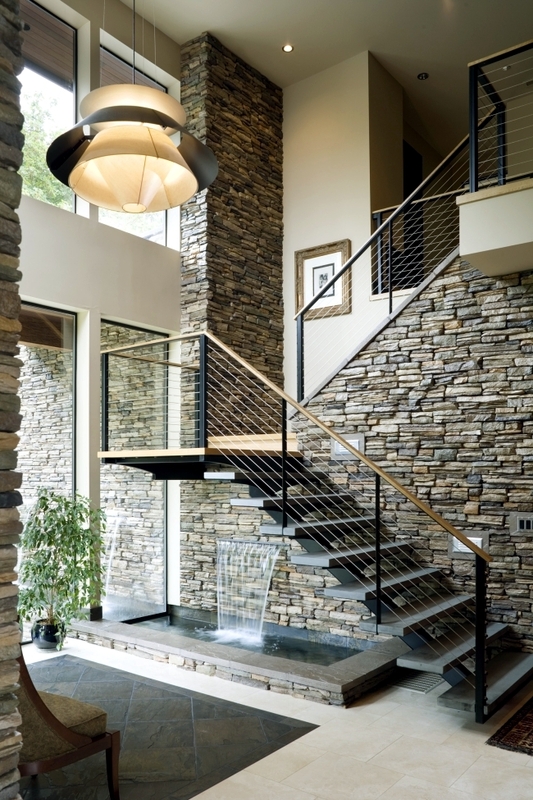 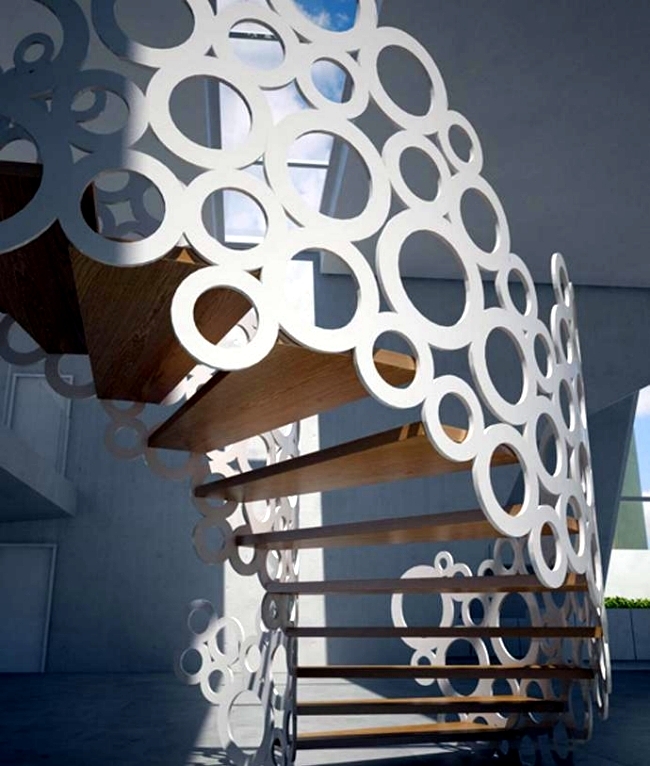 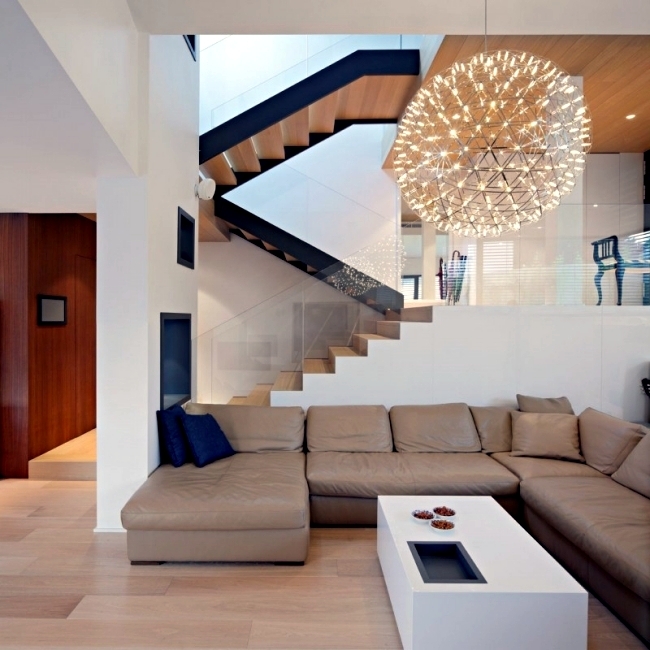 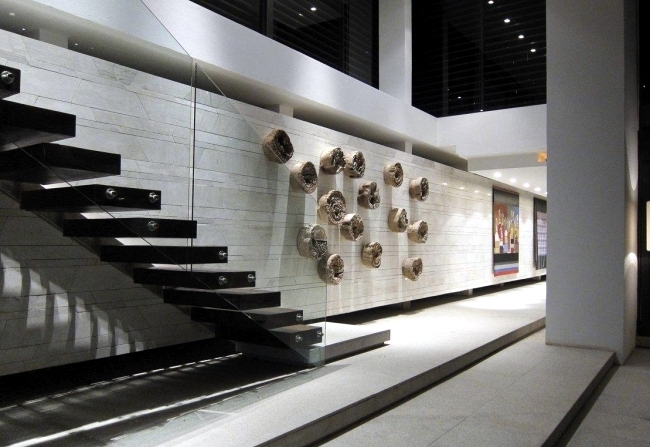 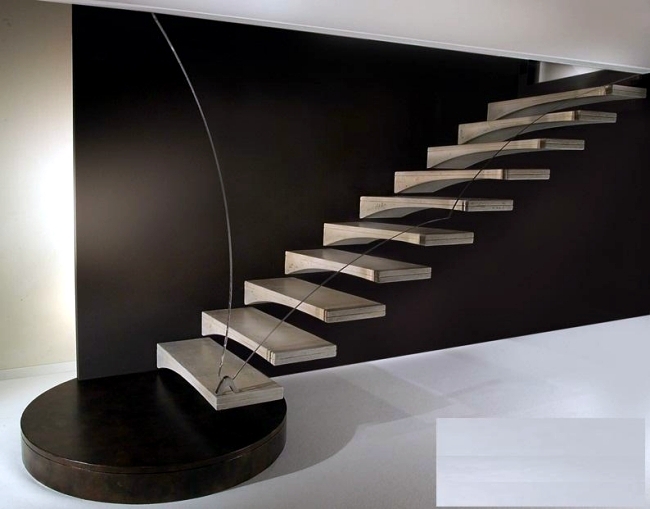 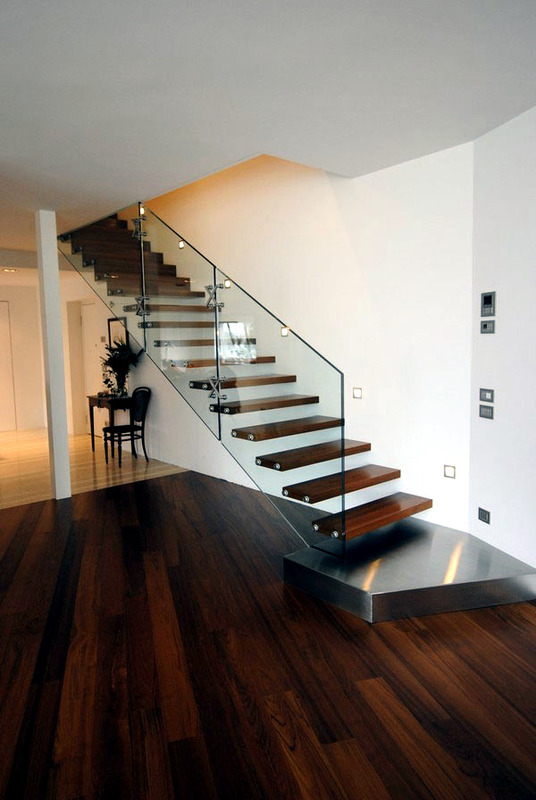 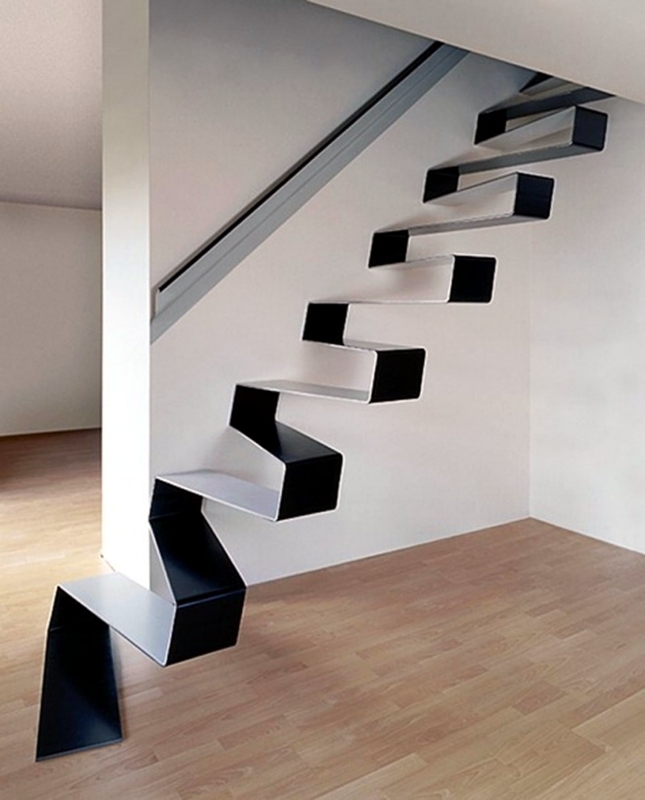 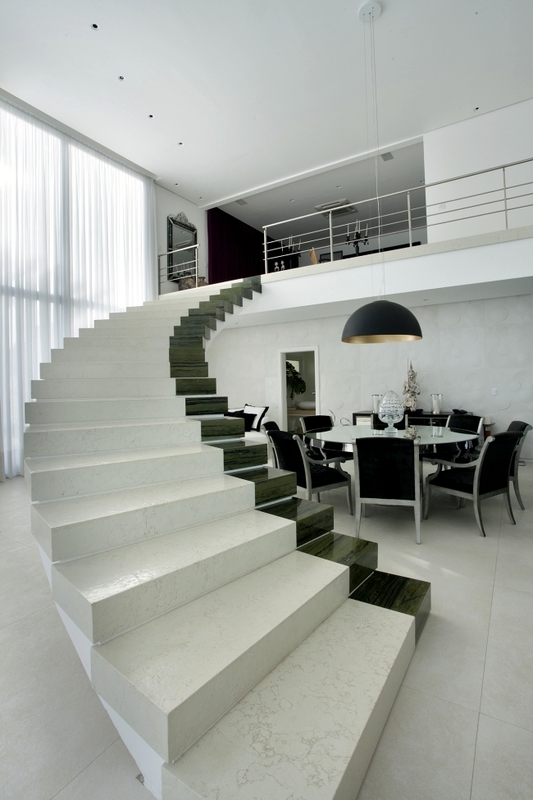 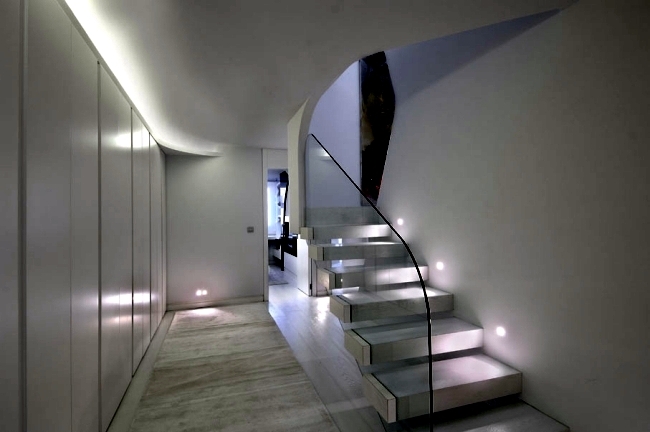 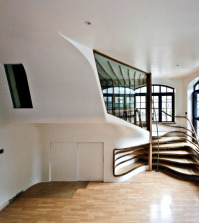 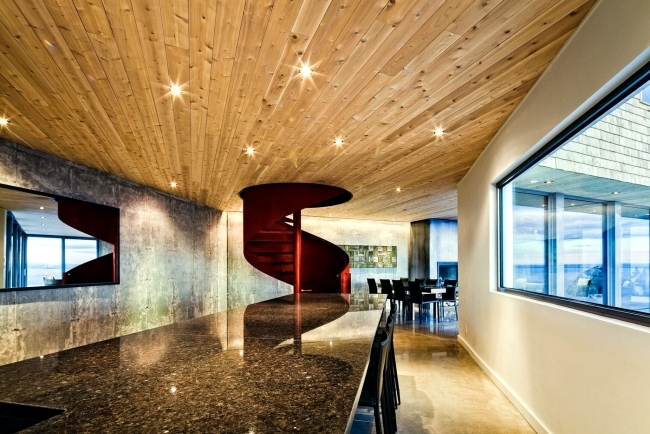 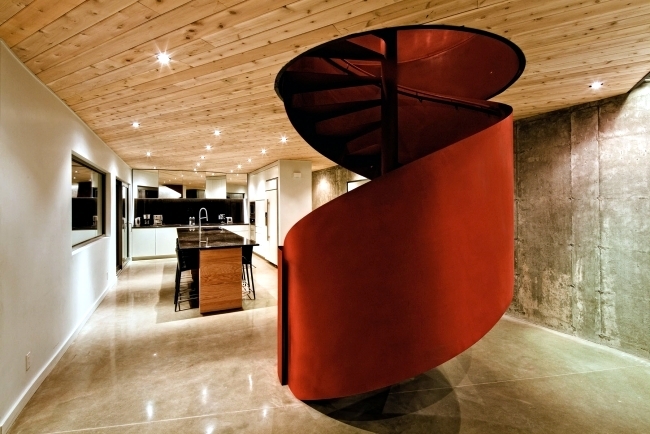 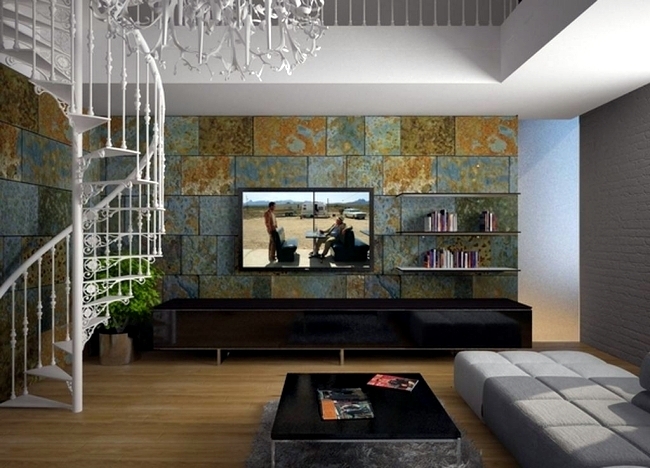 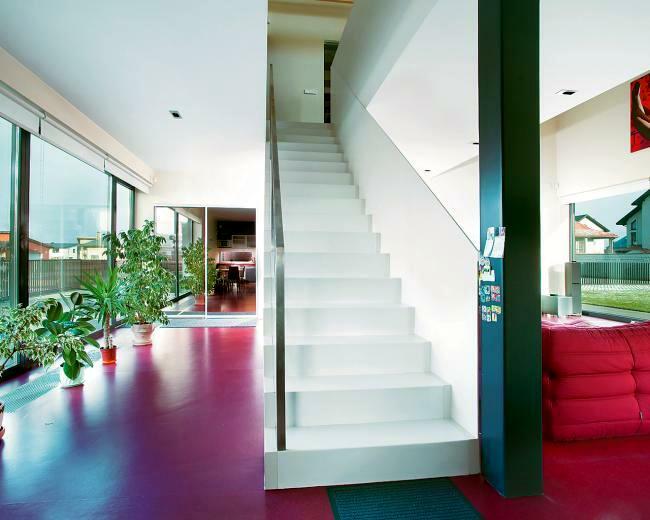 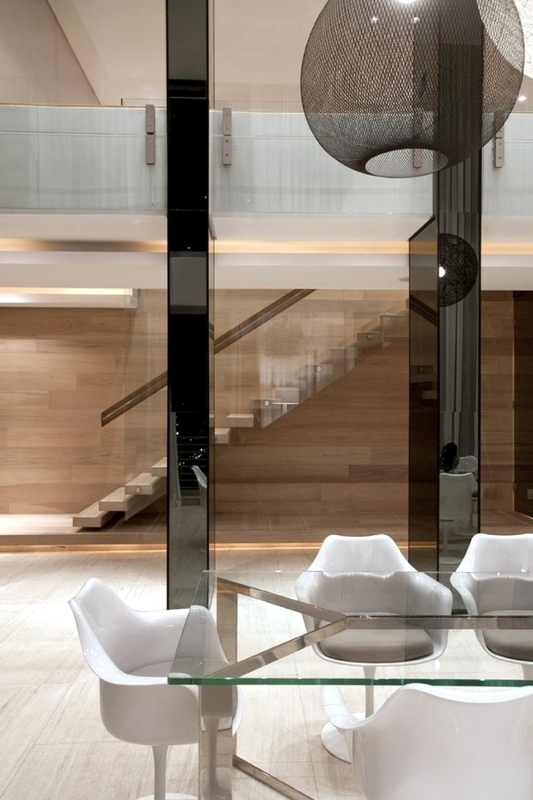 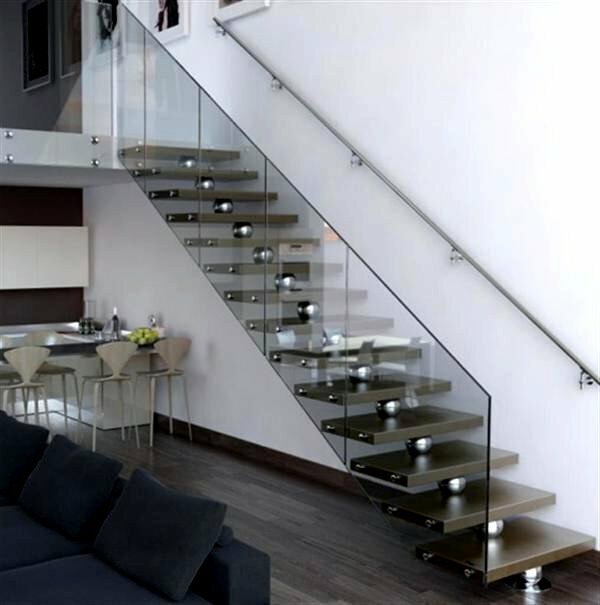 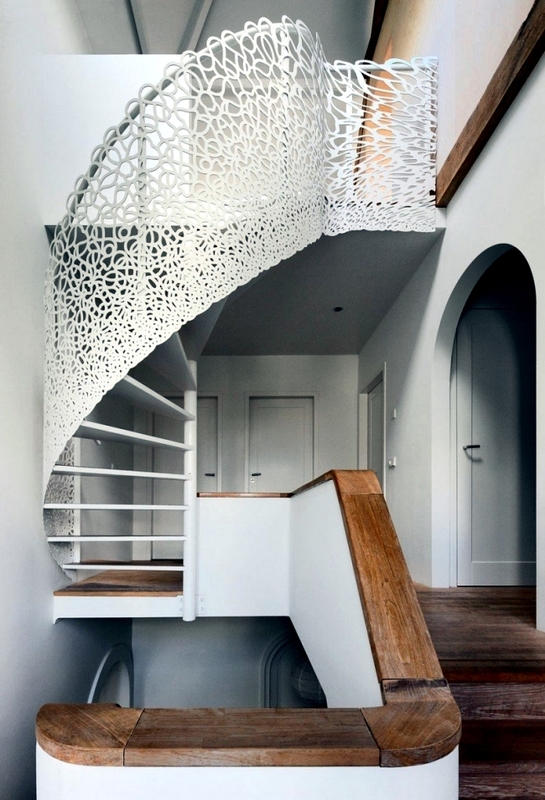 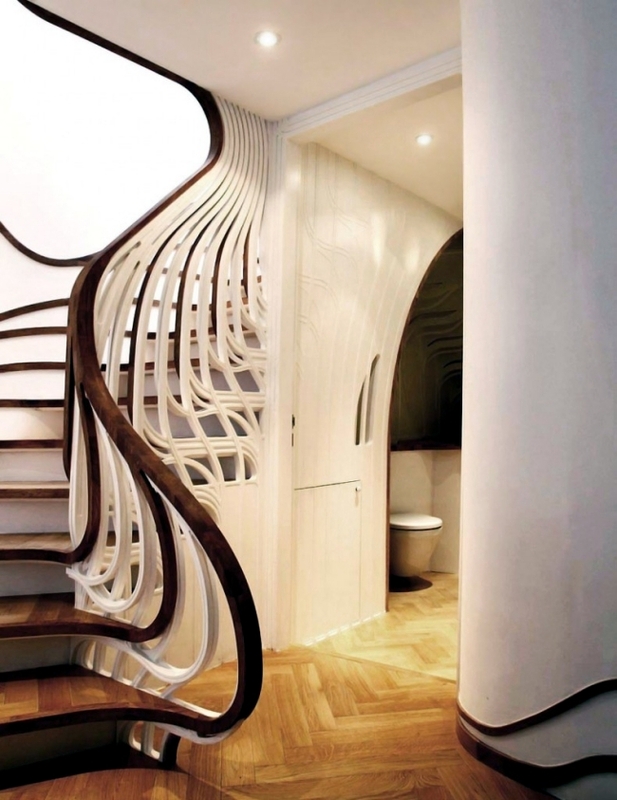 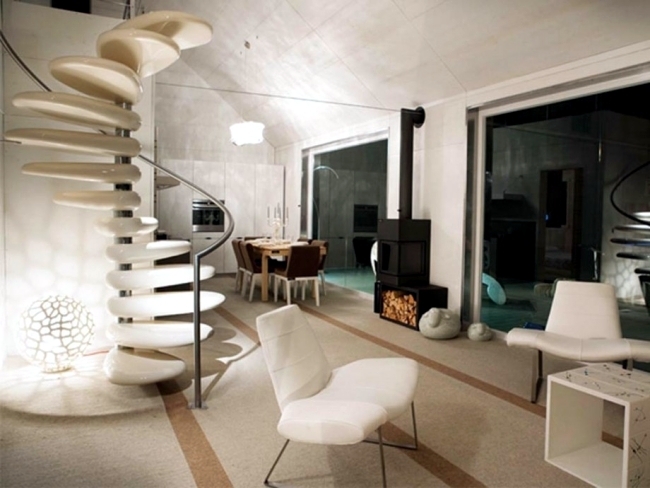 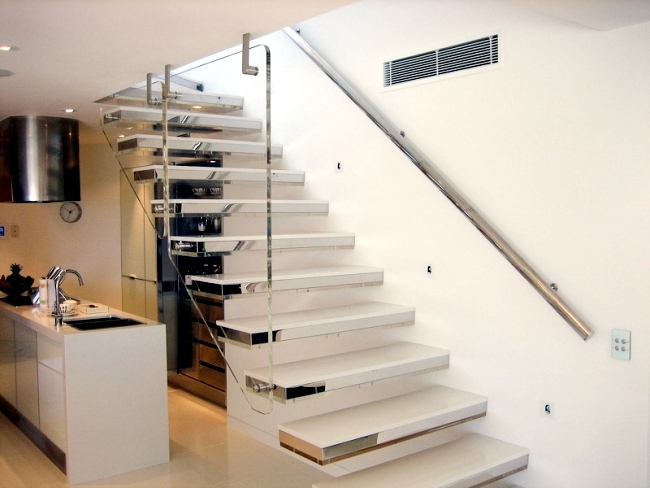 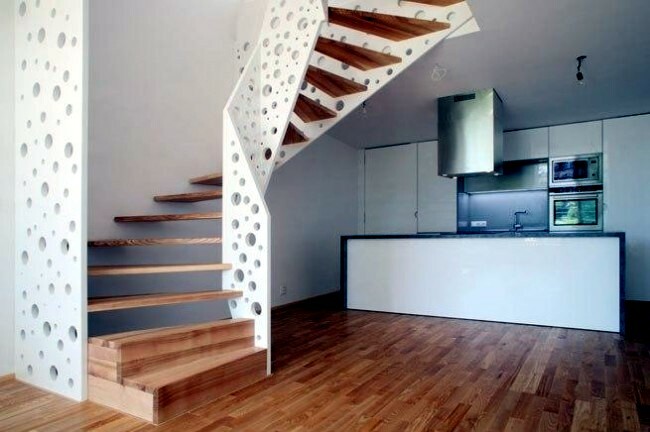 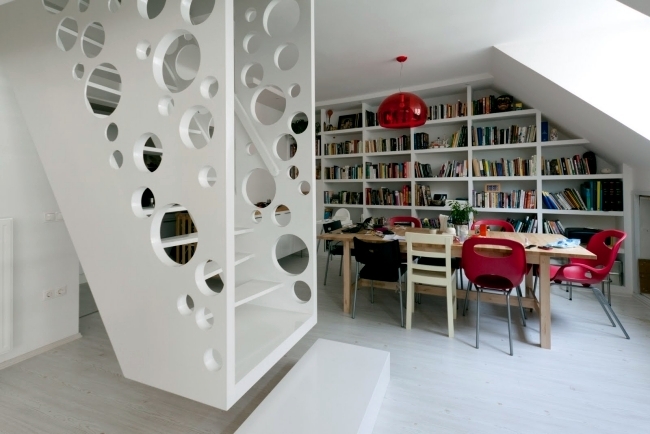 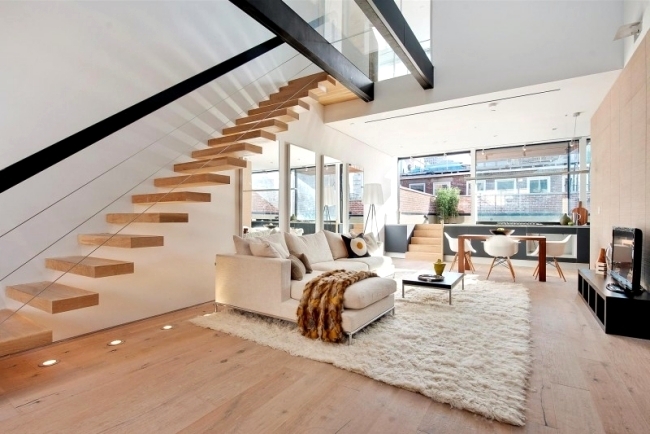 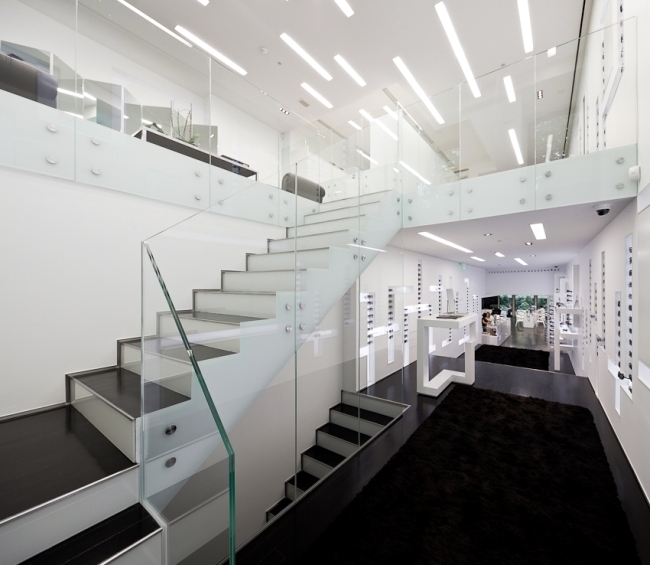 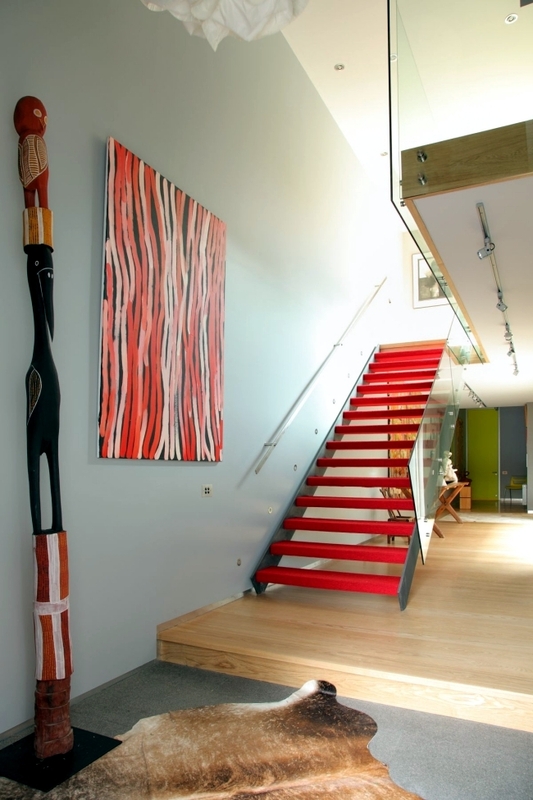 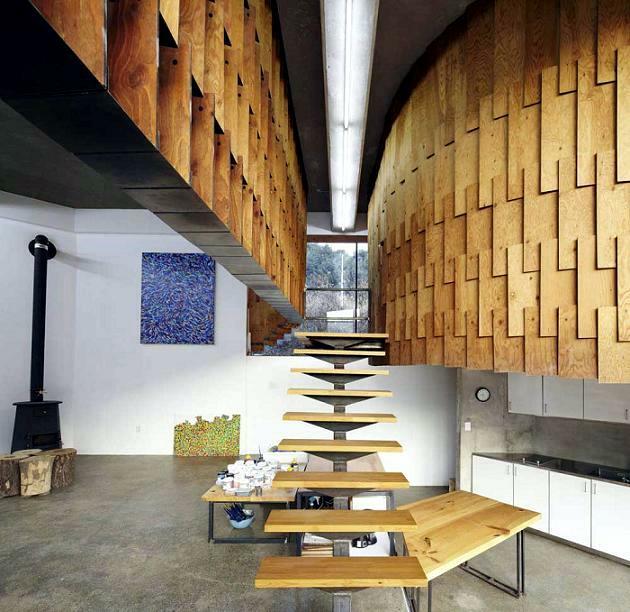 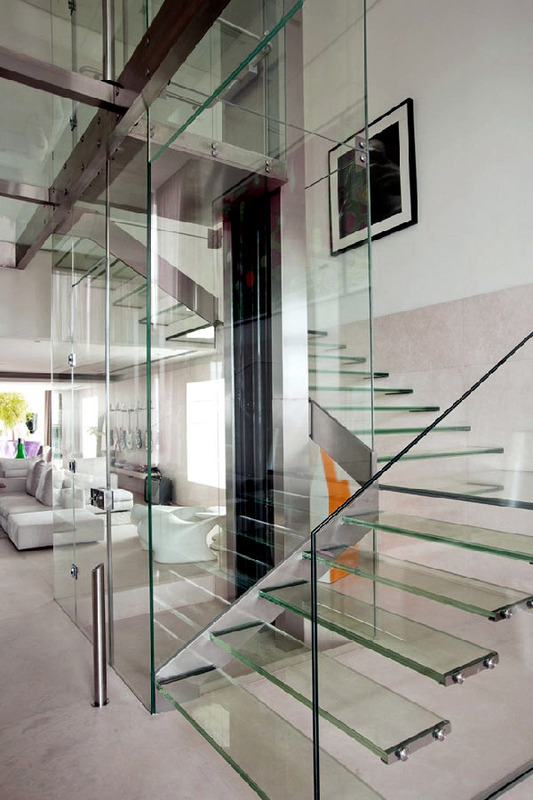 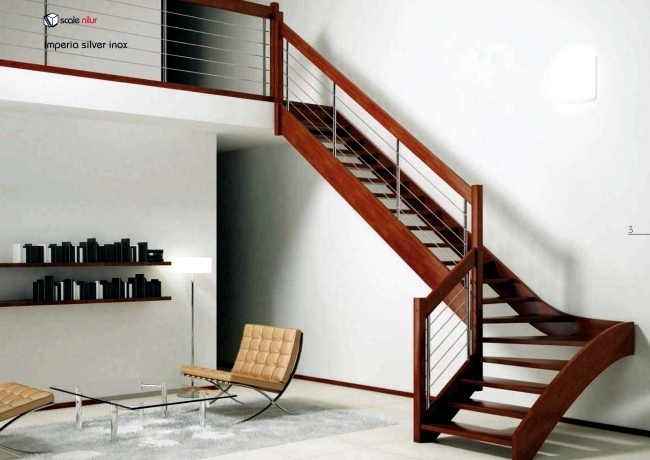 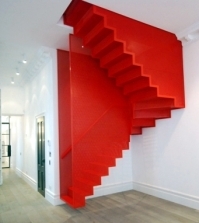 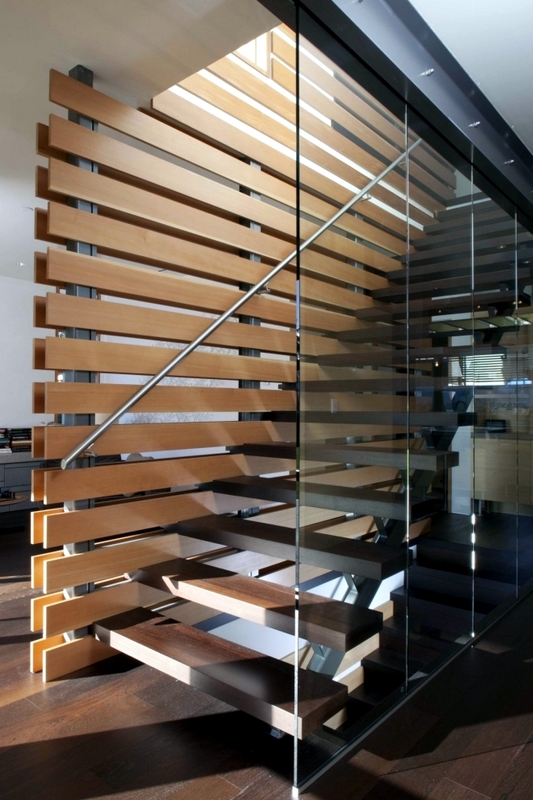 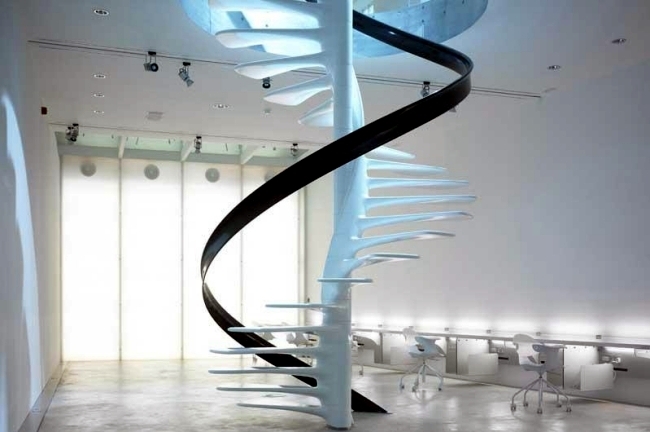 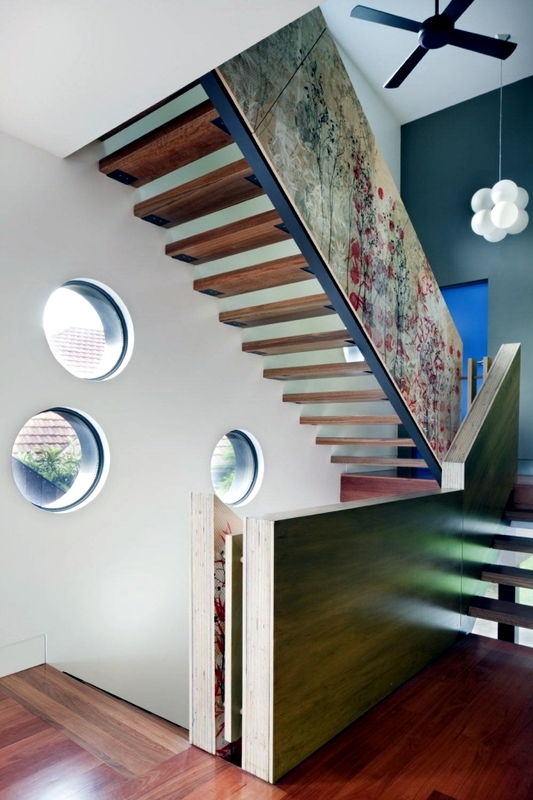 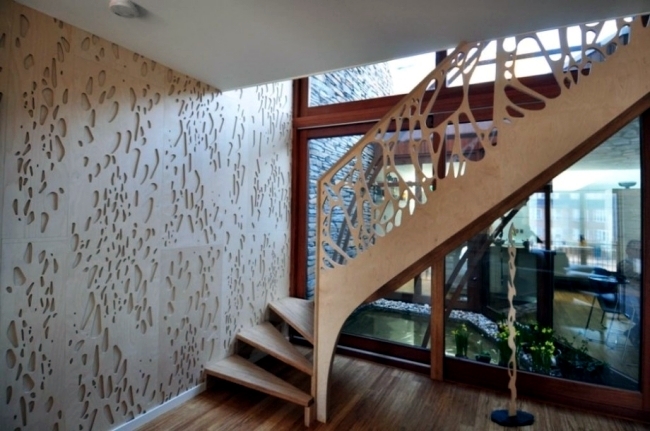 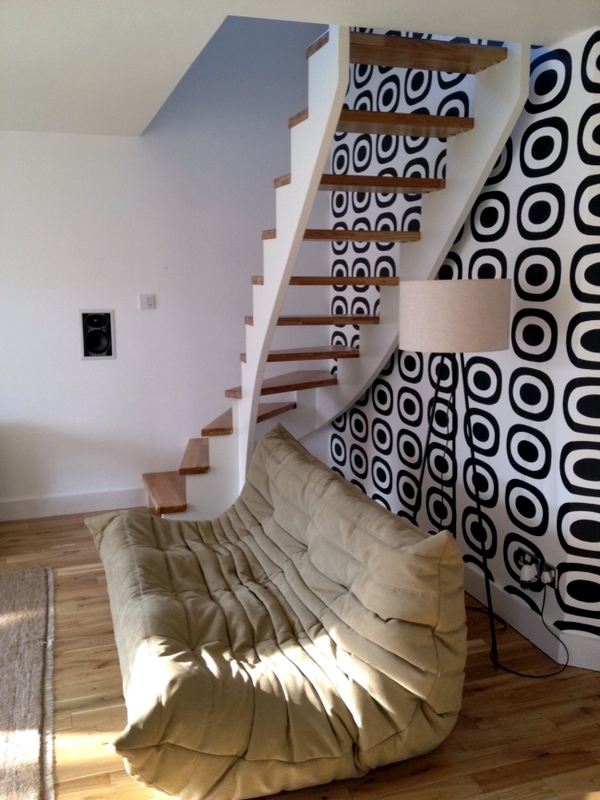 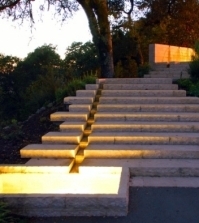 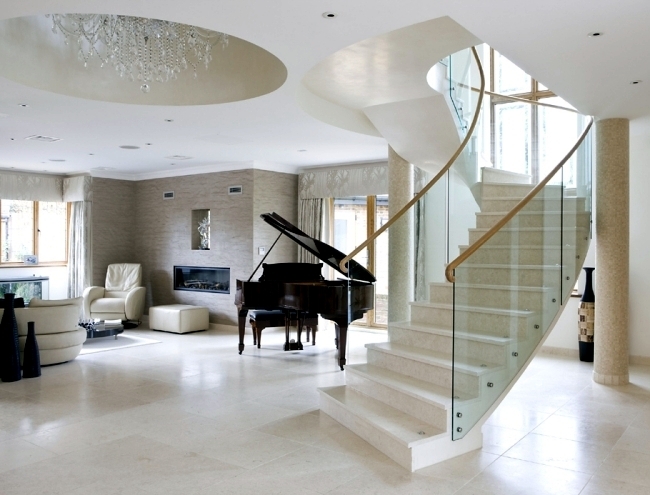 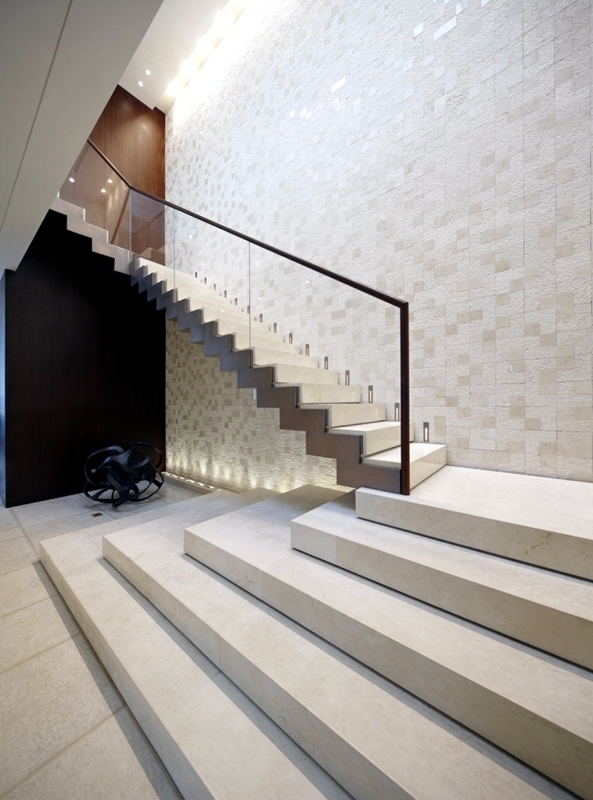 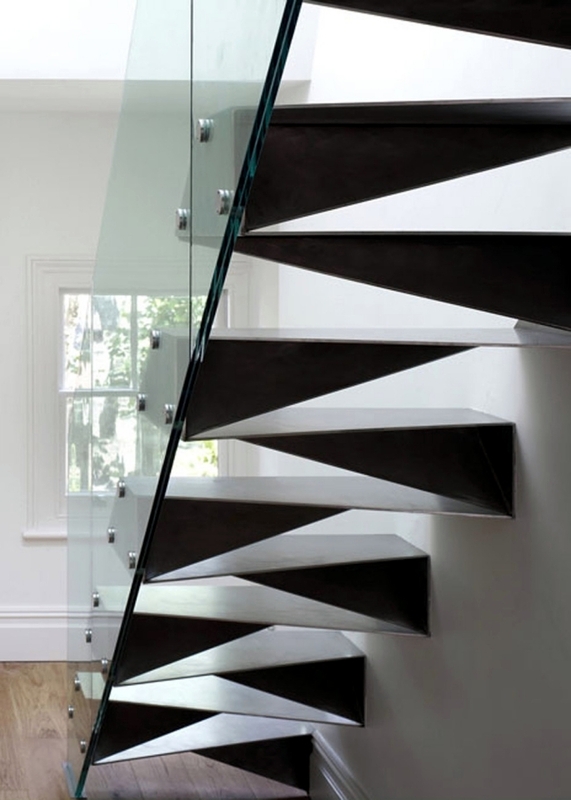 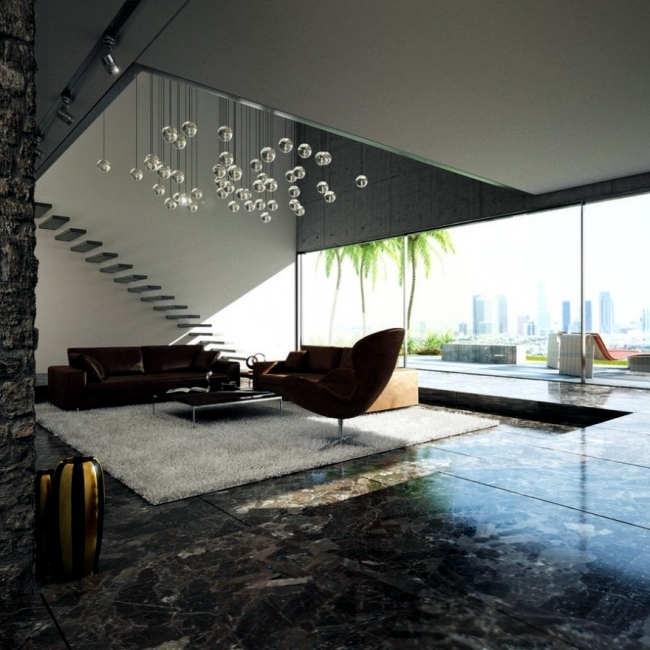 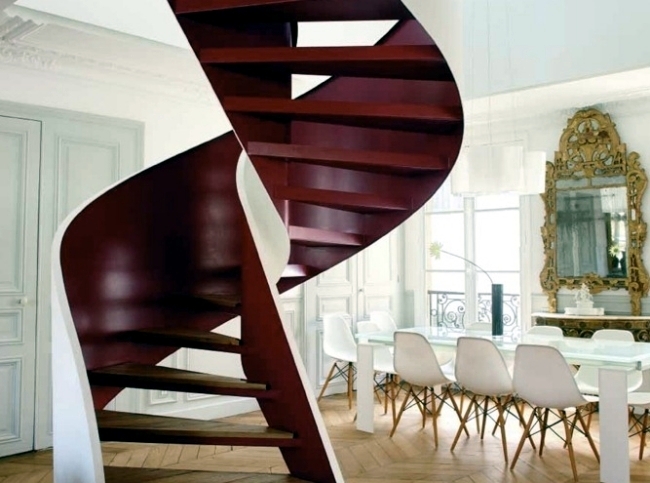 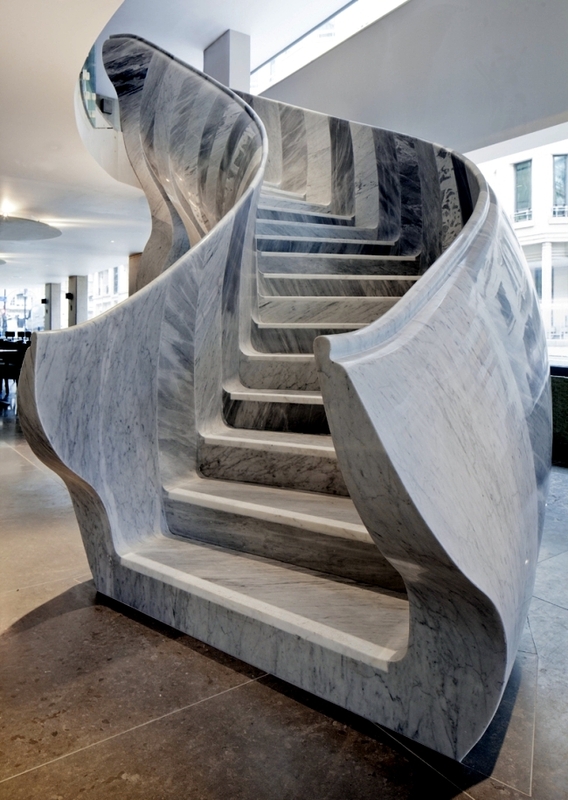 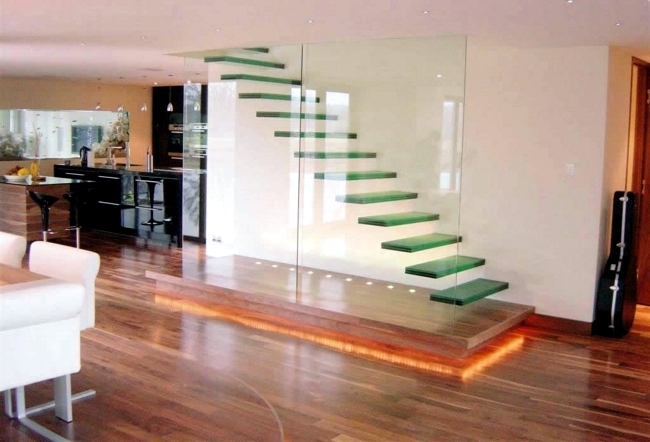 Modern stairs come in many styles and designs that can be real eye-catcher in the different area. 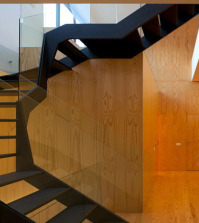 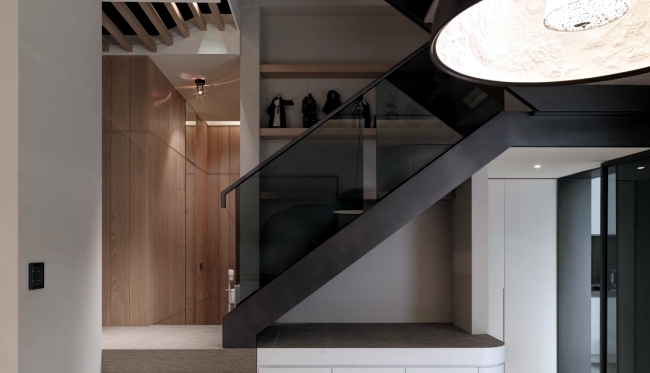 We've compiled 99 modern models of stairs that can give you some ideas on how to integrate their security, aesthetics and functionality in the living room. 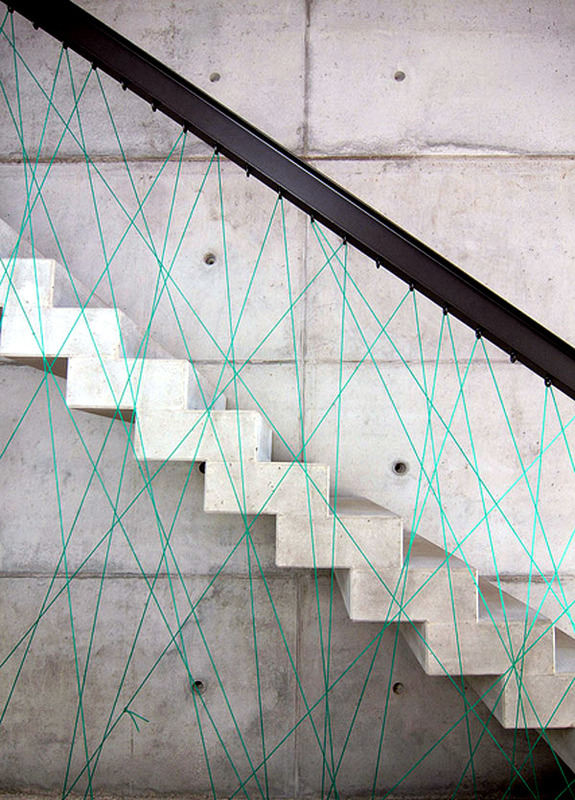 Security is an important issue when it comes to stairs. 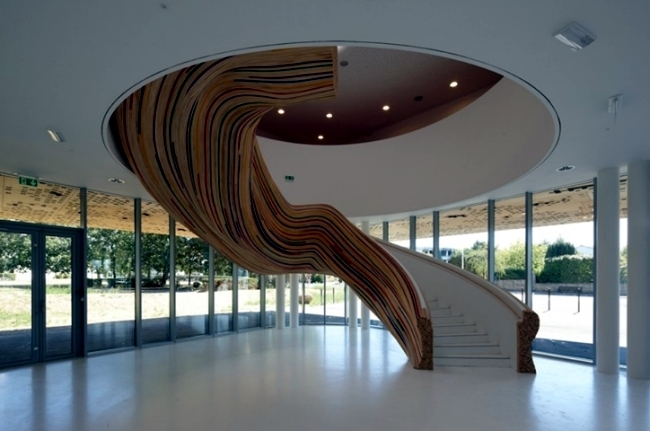 Security, but varies in magnitude depending on the user. 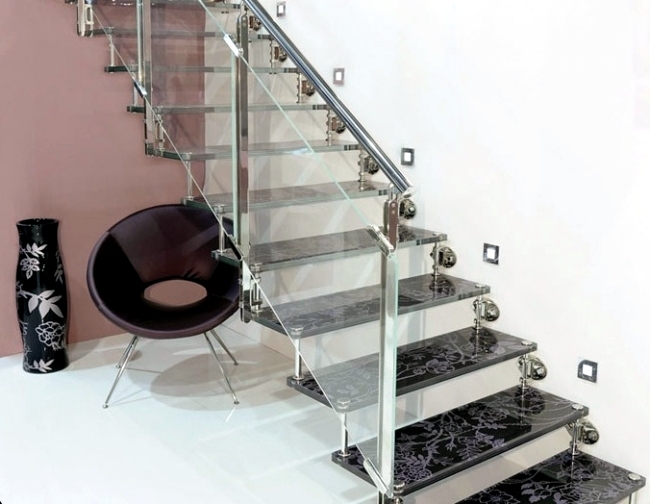 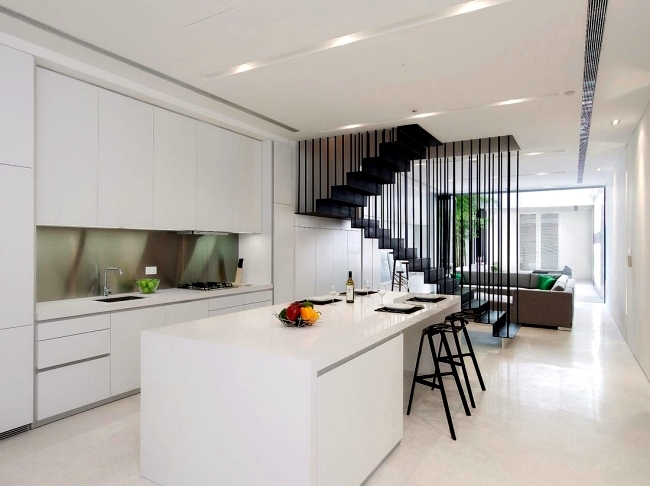 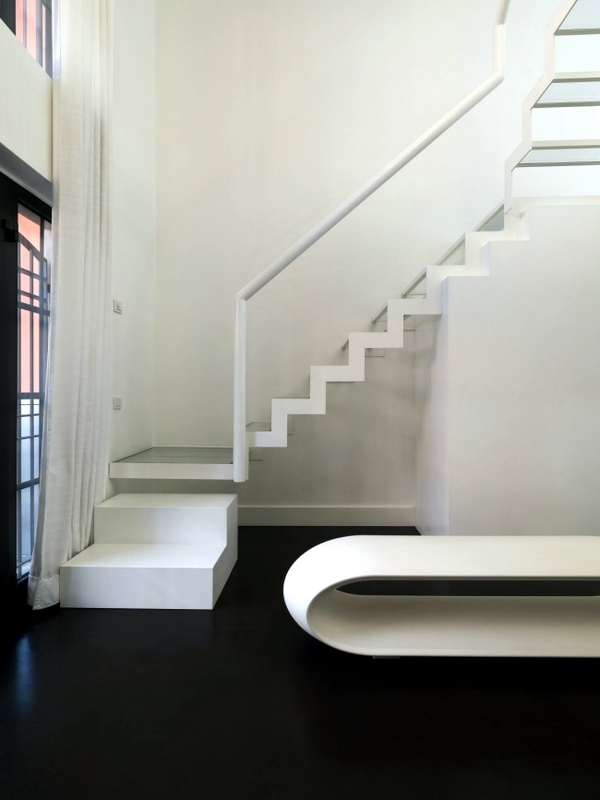 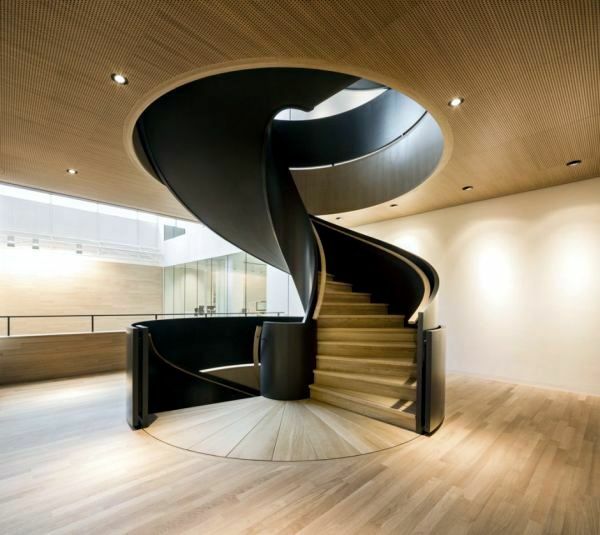 For example, an ultra-modern staircase without railing can be perfect for a young student, but the same stairs is a problem when they are used by children or the elderly who need to support the balustrade. 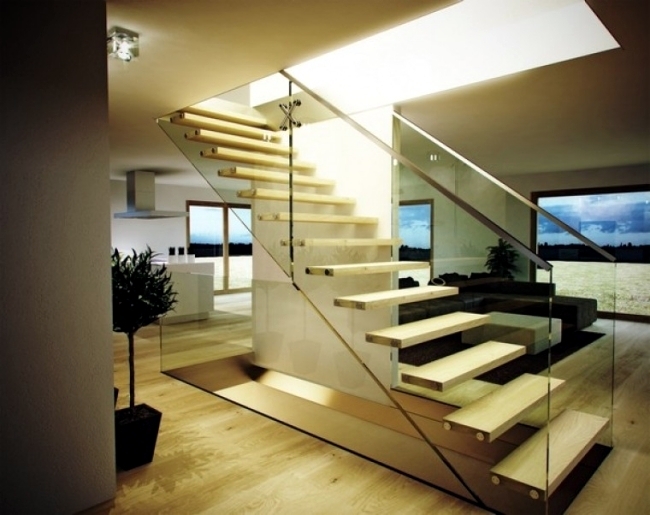 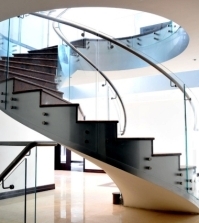 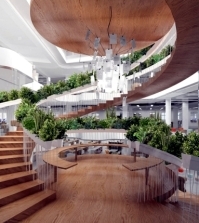 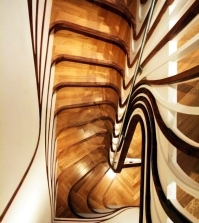 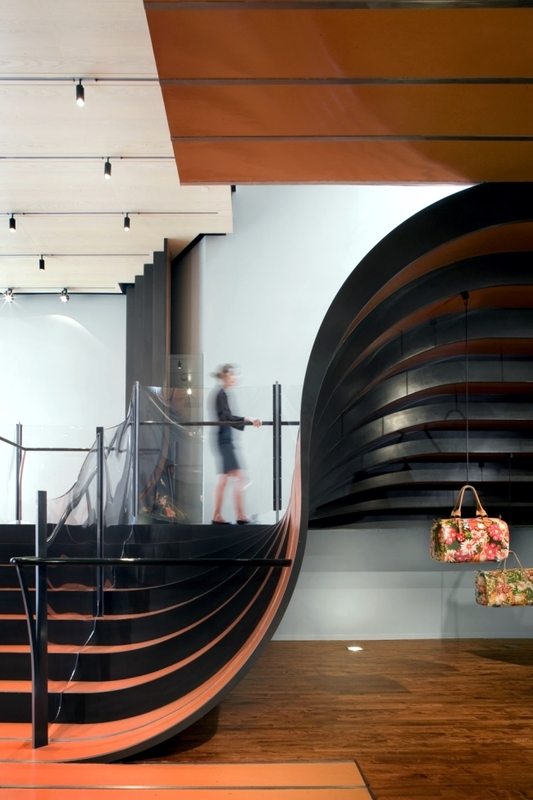 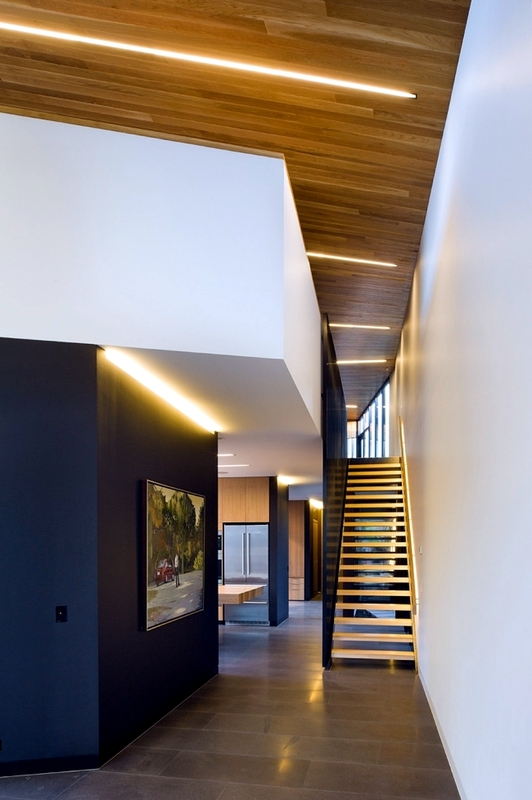 The design phase is where a staircase is a solid form when the architect determines the materials - such as wood, metal or glass - and decide on the best use of space. 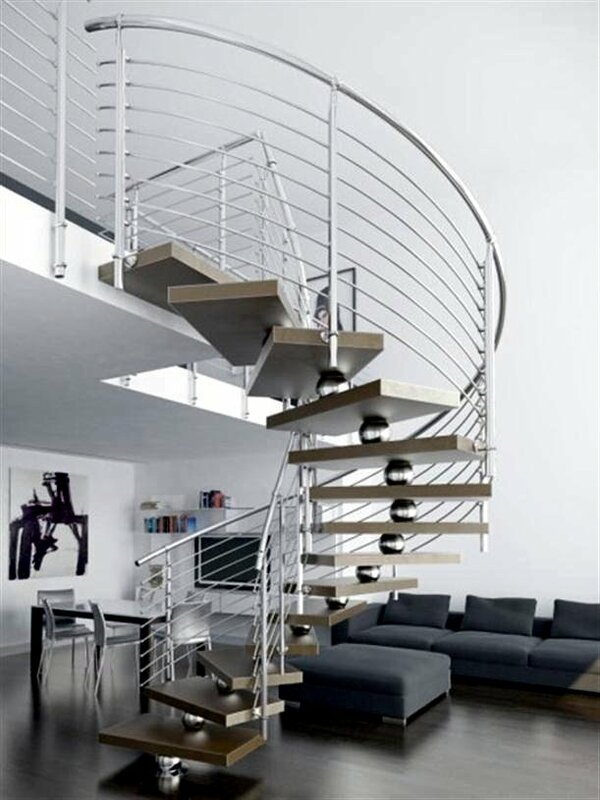 For example, if the architect is working in a small enclosed space, a spiral staircase stairs or vertical will be the best option. 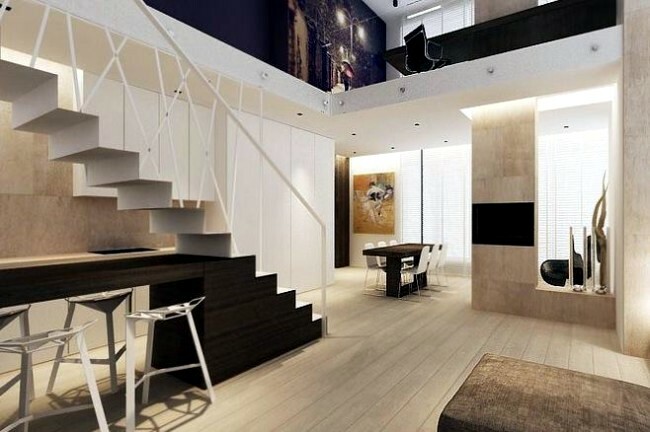 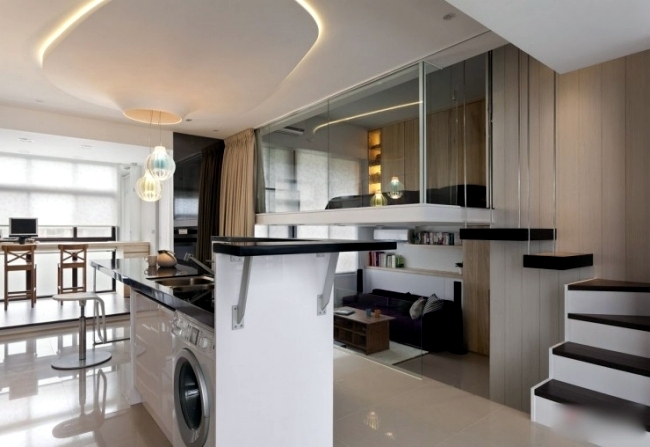 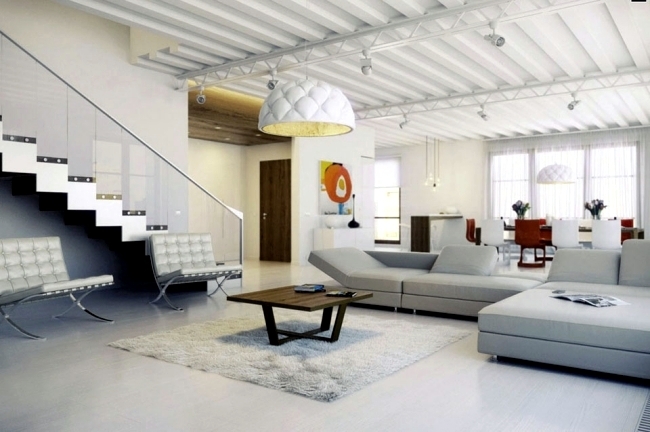 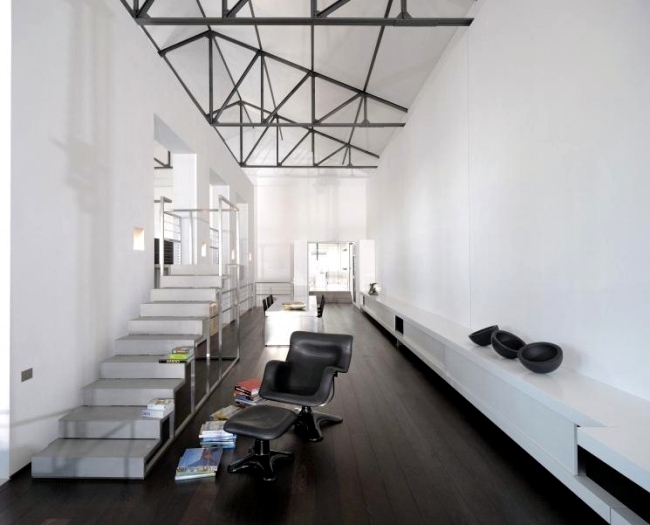 In a large open space, but there are many possibilities. 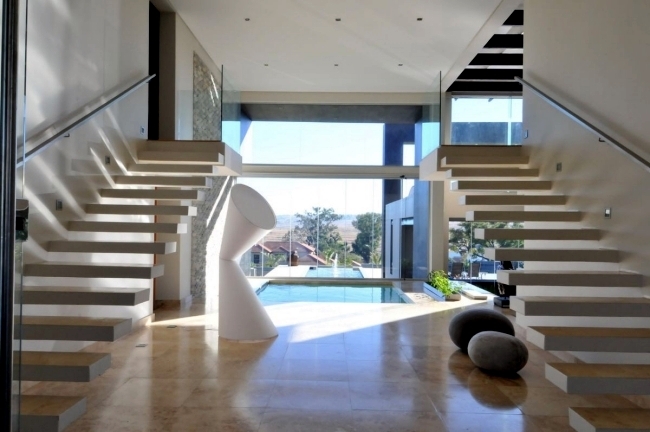 You must take two factors into consideration. 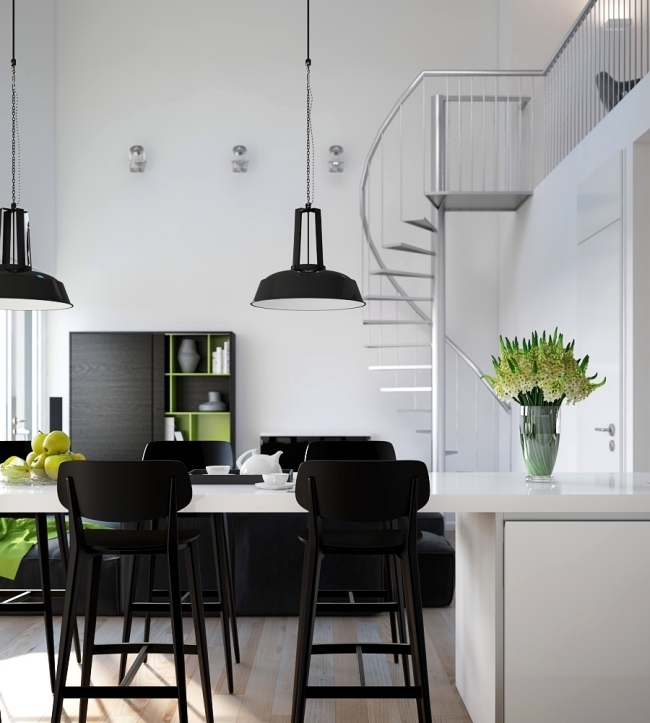 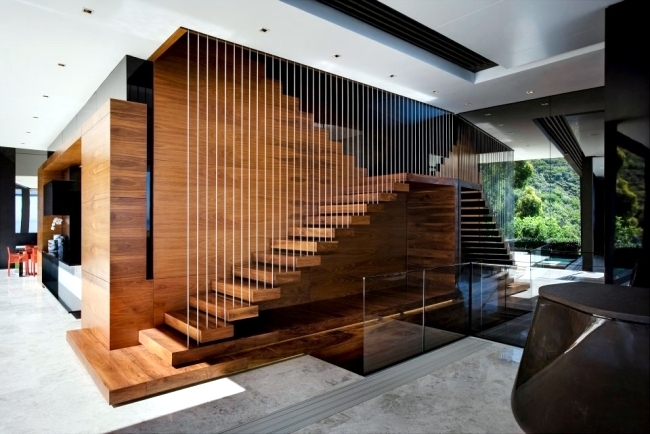 If you want to merge the staircase with its environment, then you must use a similar design and decorative elements as in the rest of the house. 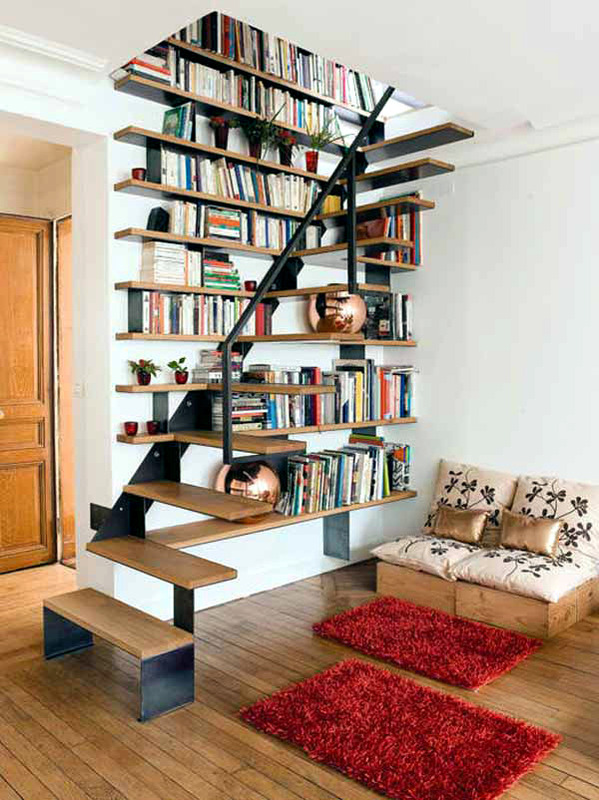 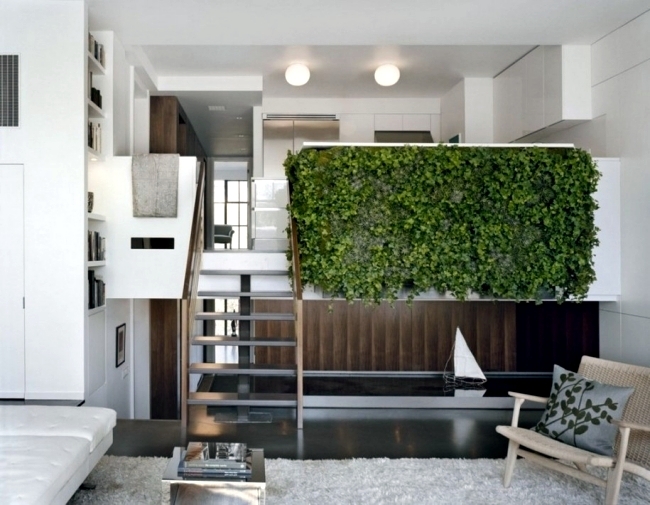 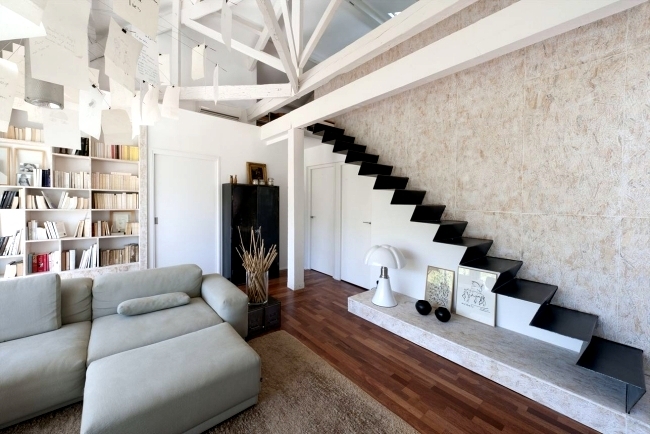 The other option is a staircase rather requires full attention in harmony. 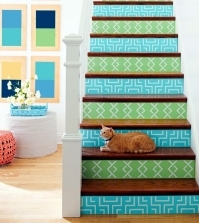 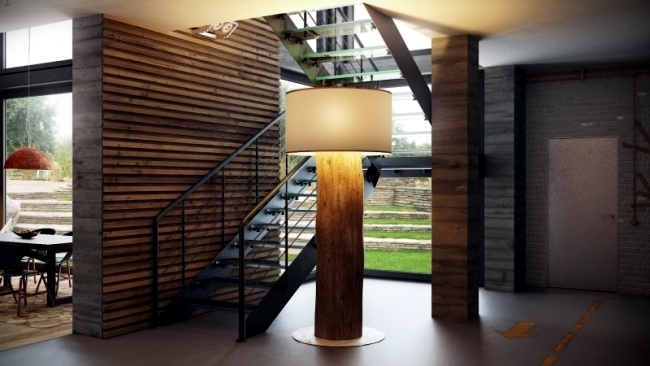 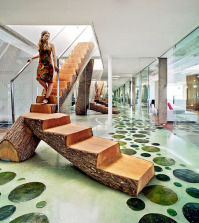 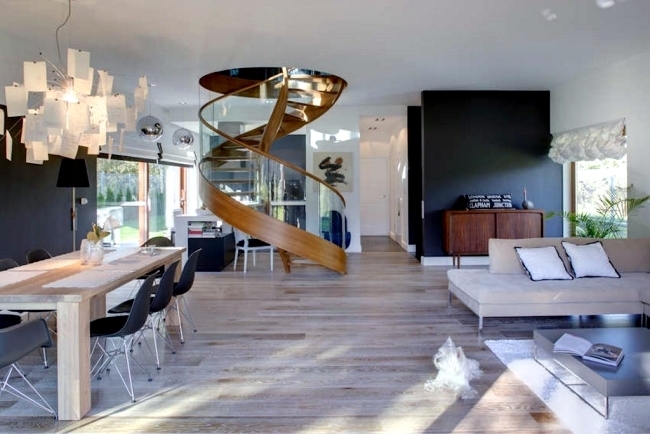 This fascinating eye-catcher should have an unusual shape, color or interesting ramps. 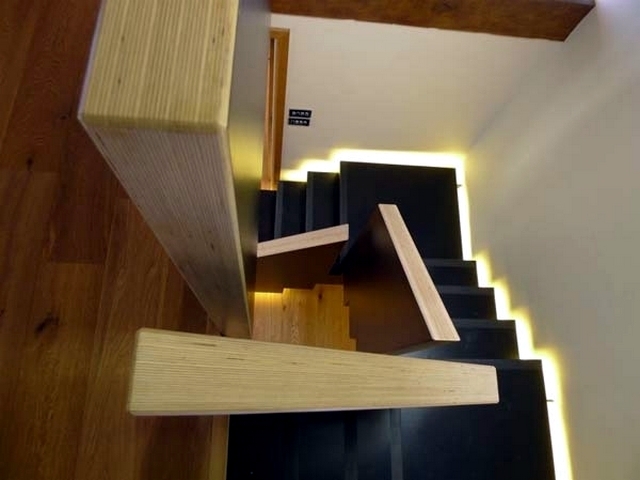 Note that even the "most beautiful" designs stairs can be a warning to you, if they are not adapted to their needs. 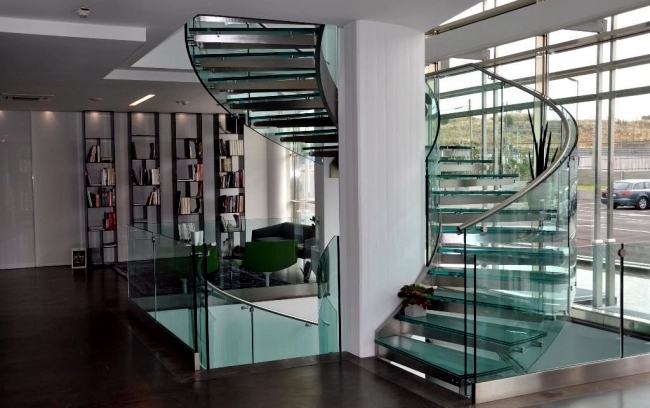 For example, you might think of a staircase "floating" glass is a great idea, but someone wearing a skirt or a dress will not agree. 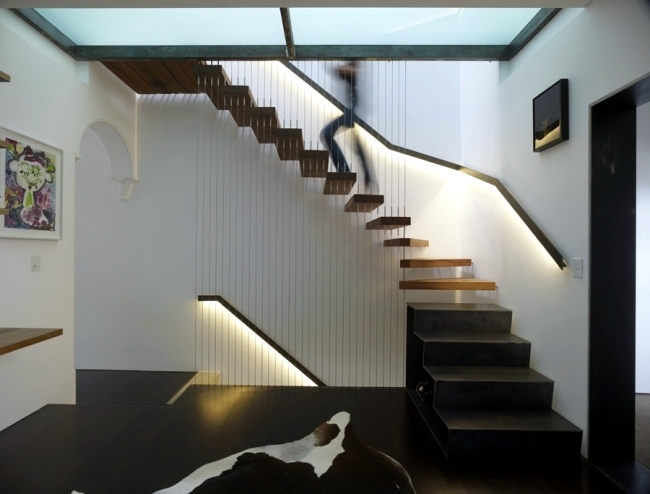 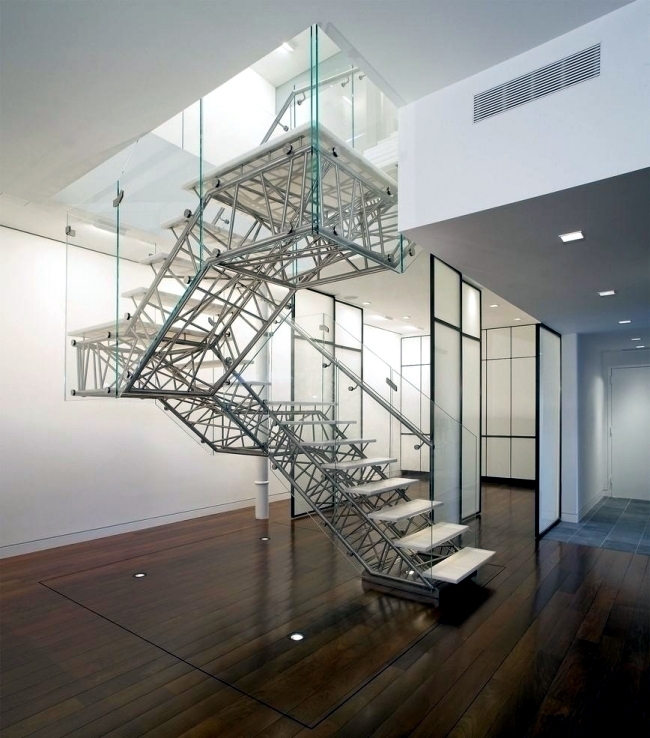 A glass or metal stairs without railings is a fine example of modern architecture, but a family of three children and grandmother probably find that this staircase is too random. 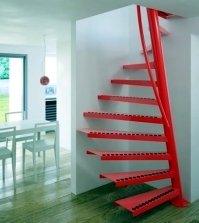 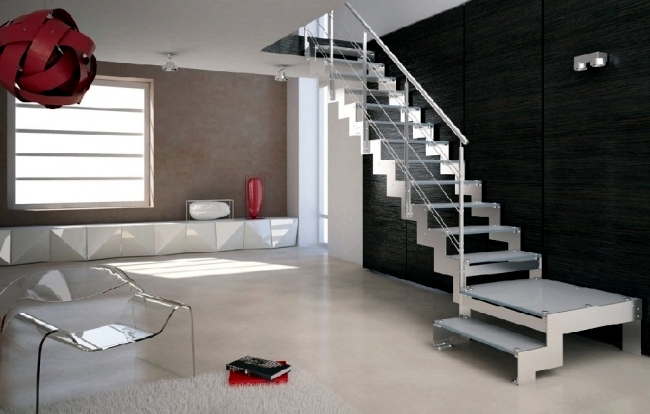 Square spiral staircase 1m2 ® with small dimensions. 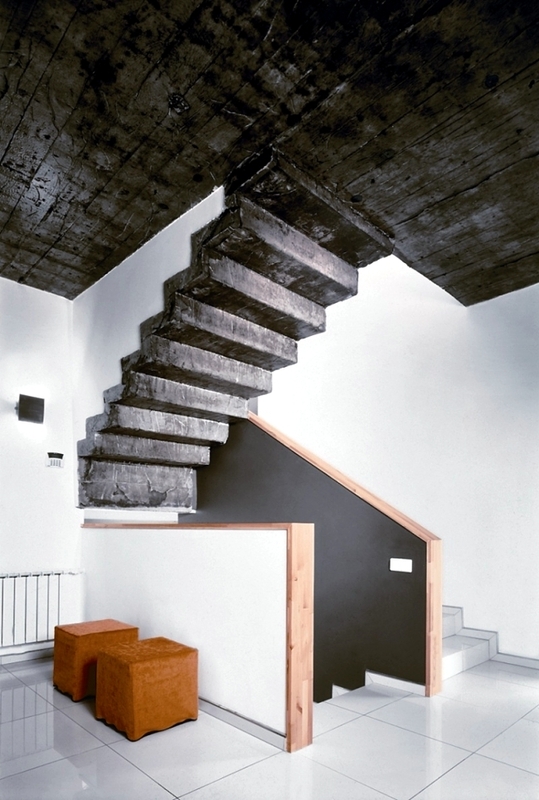 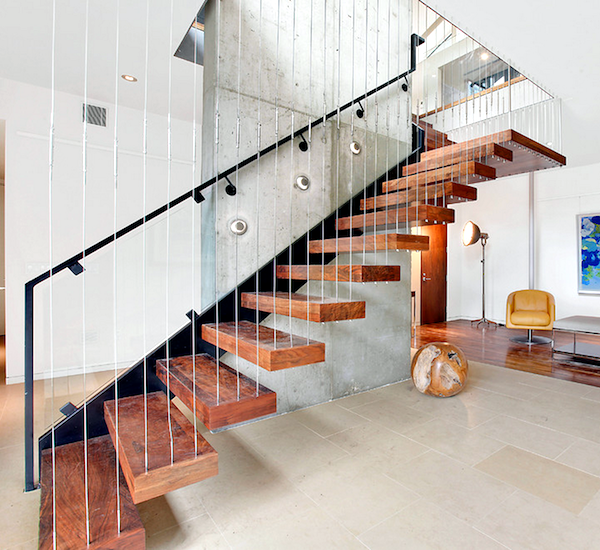 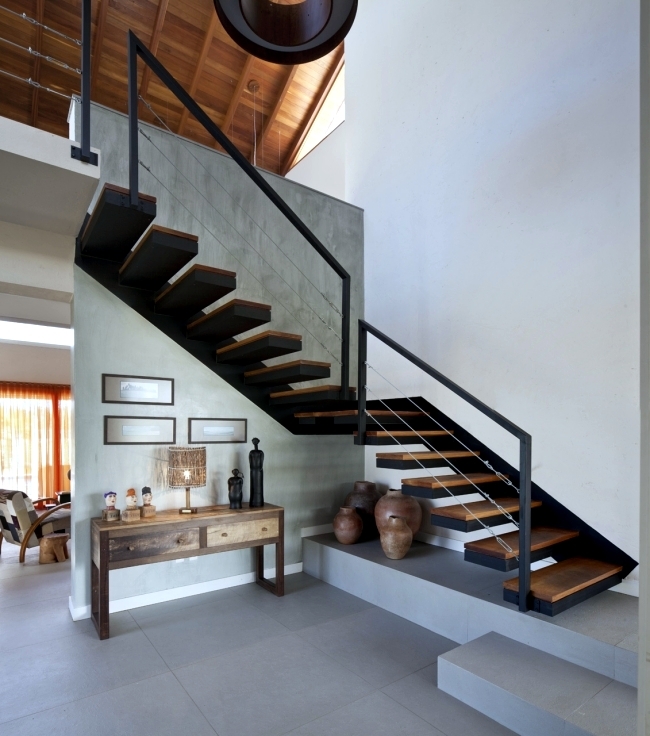 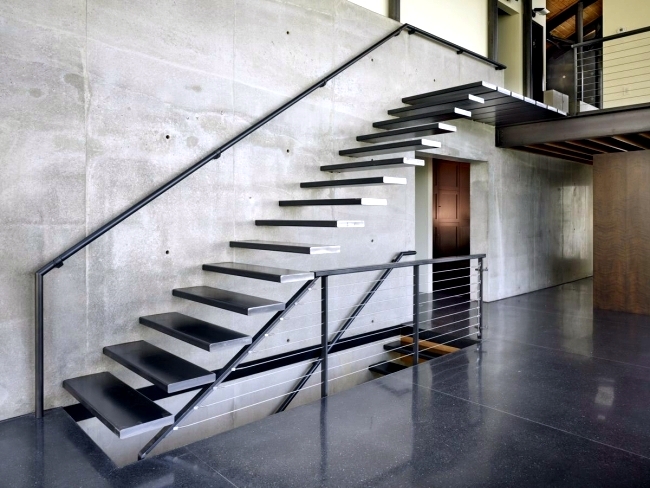 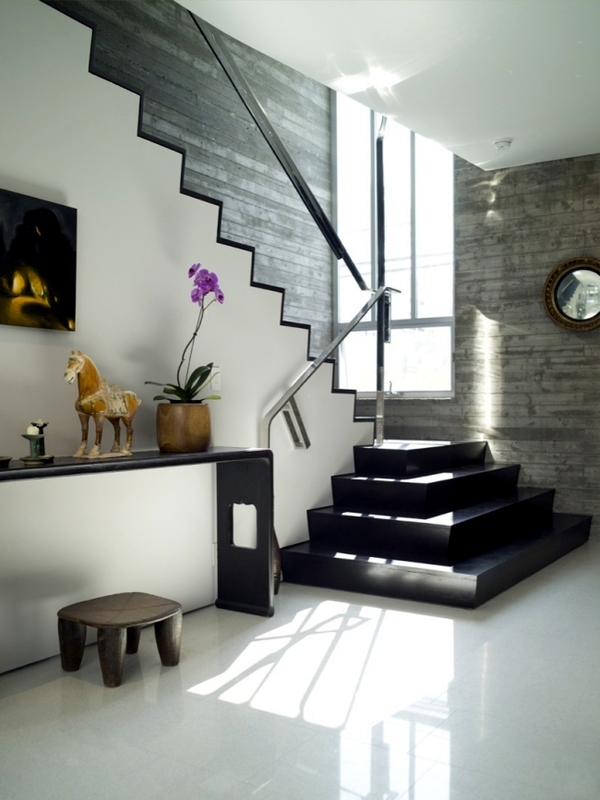 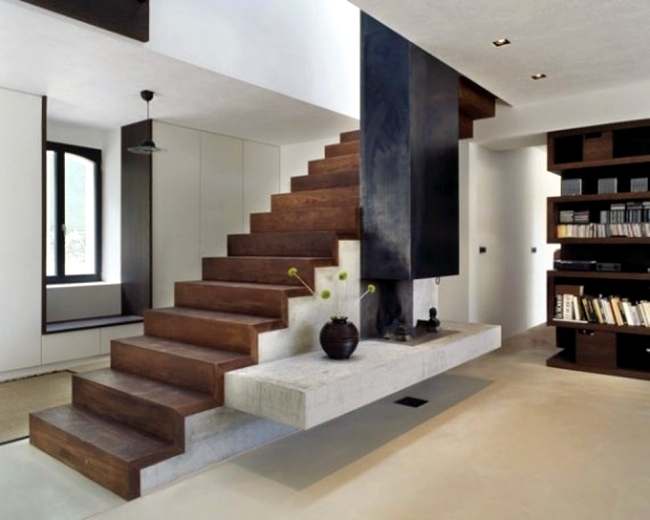 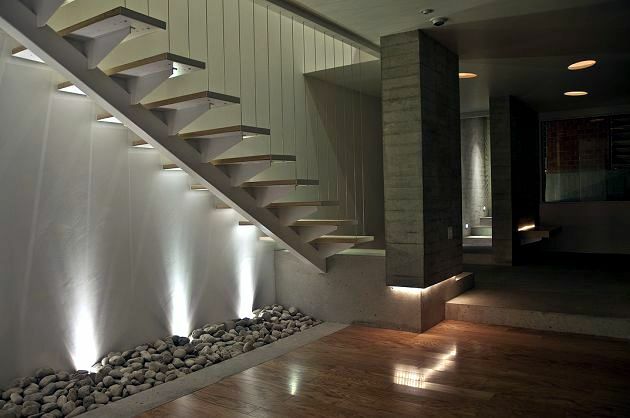 Modern concrete stairs – 22 ideas for interior and exterior stairs. 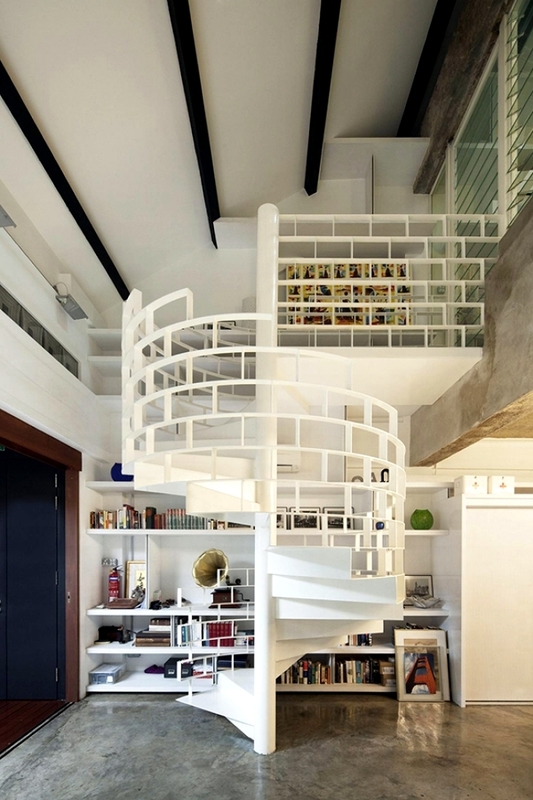 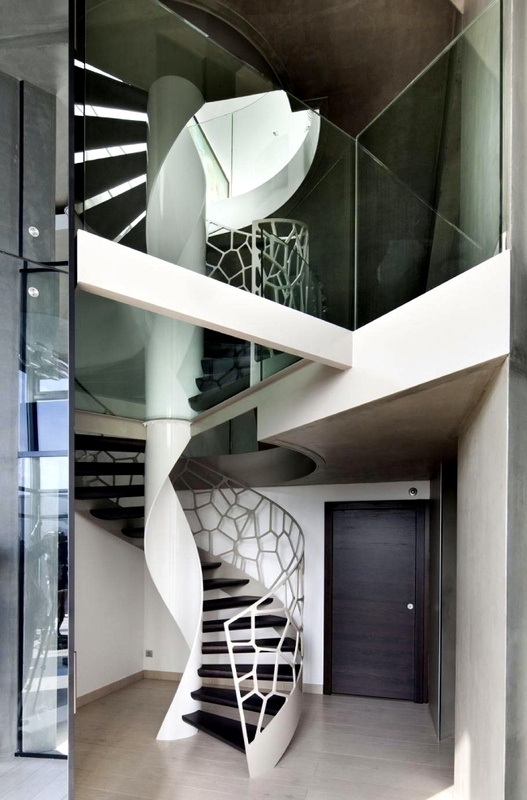 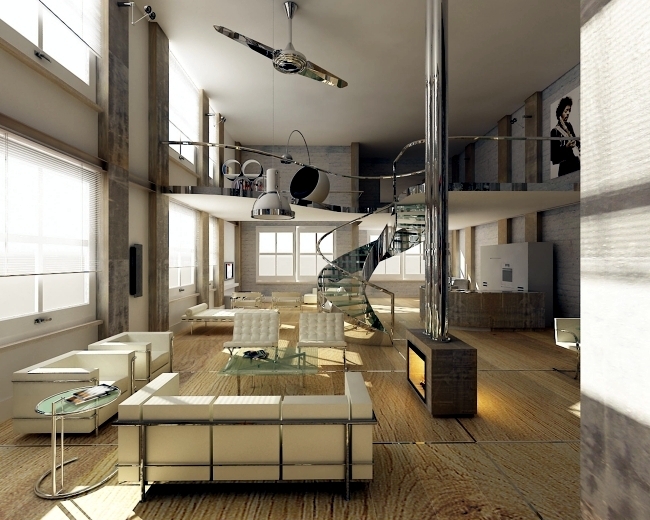 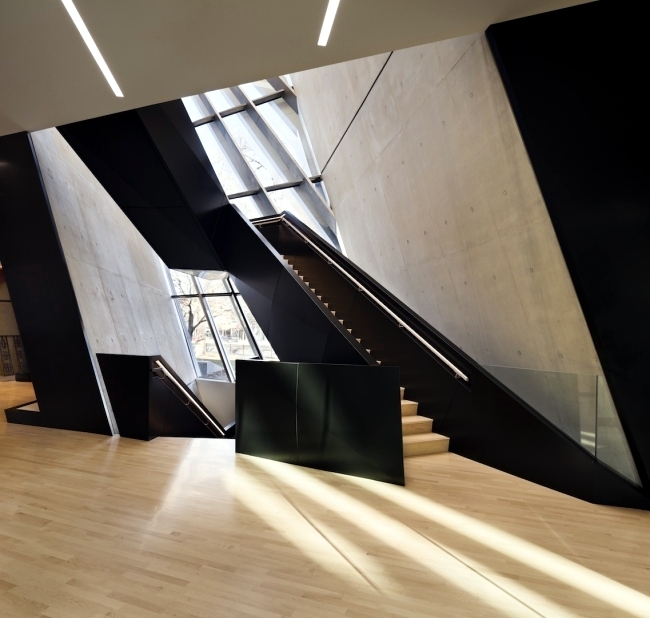 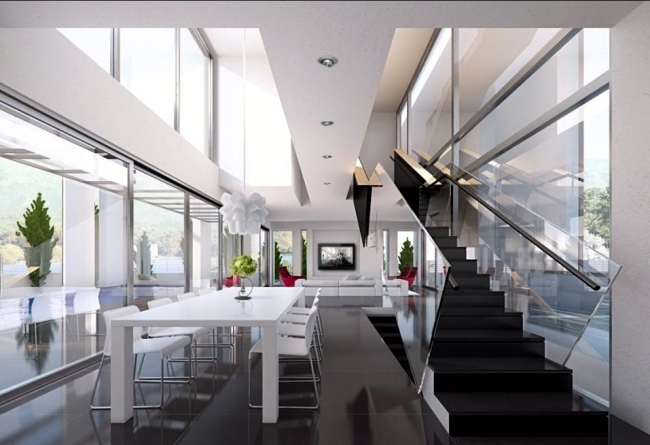 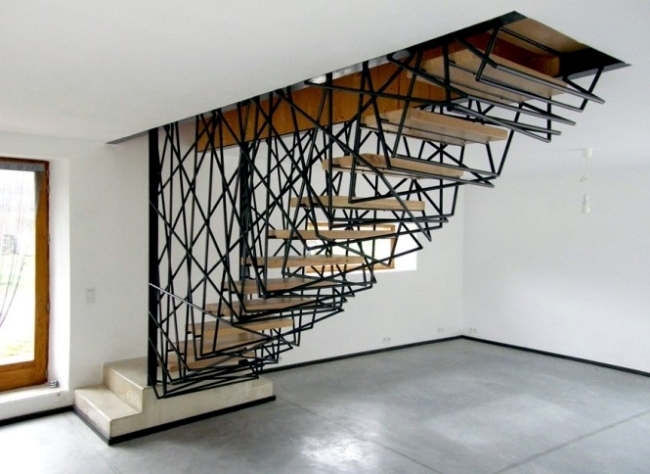 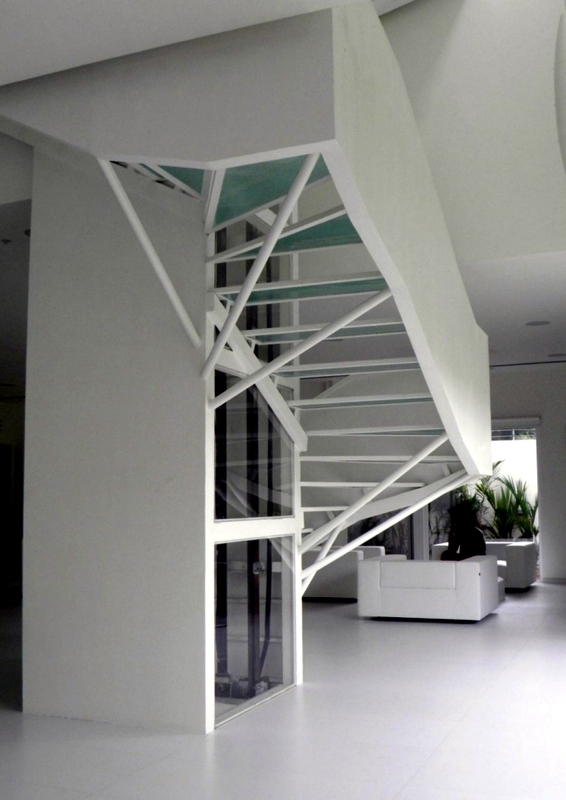 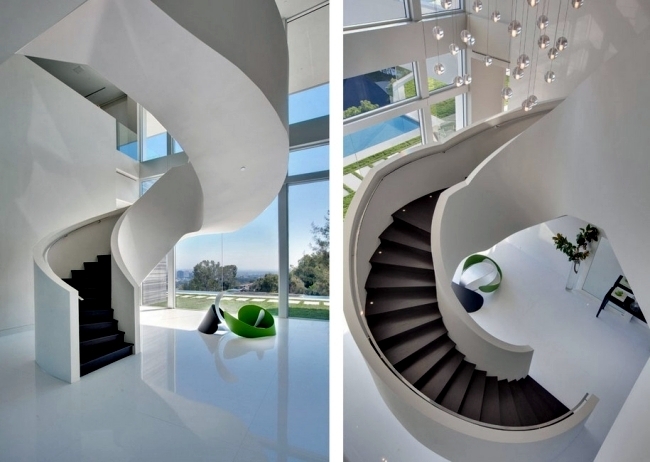 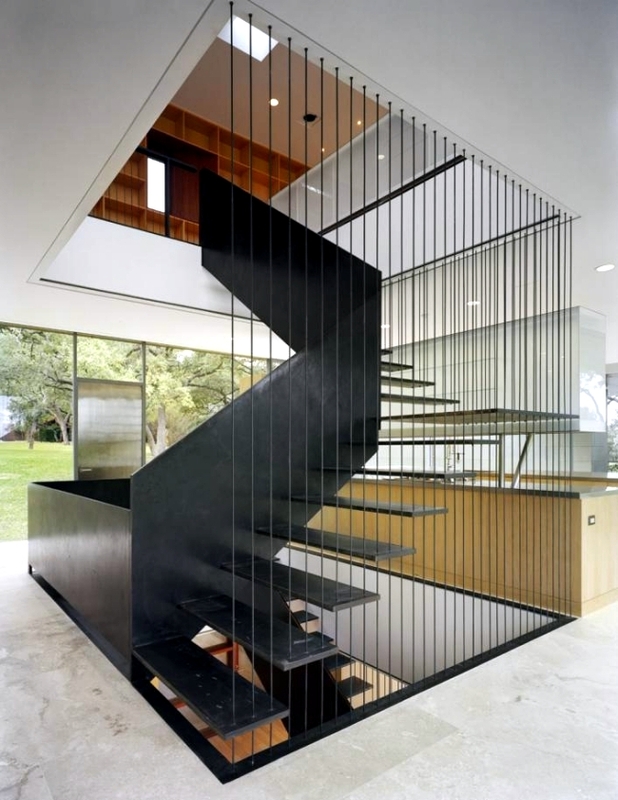 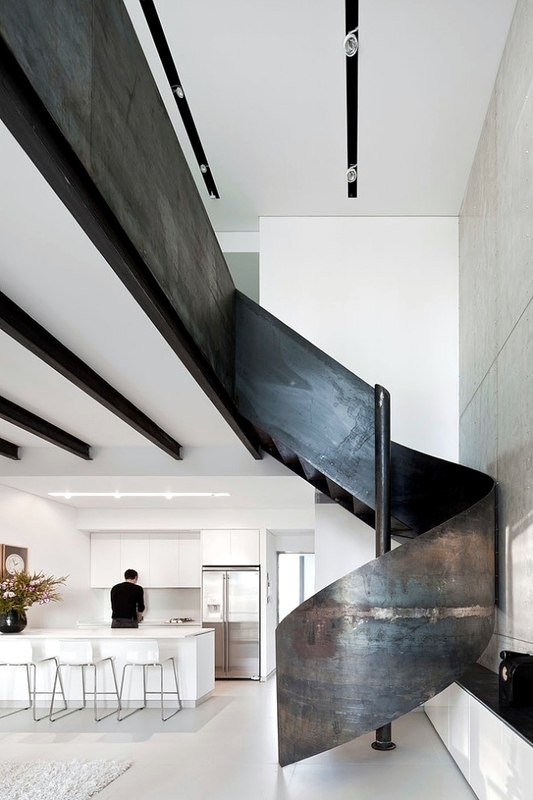 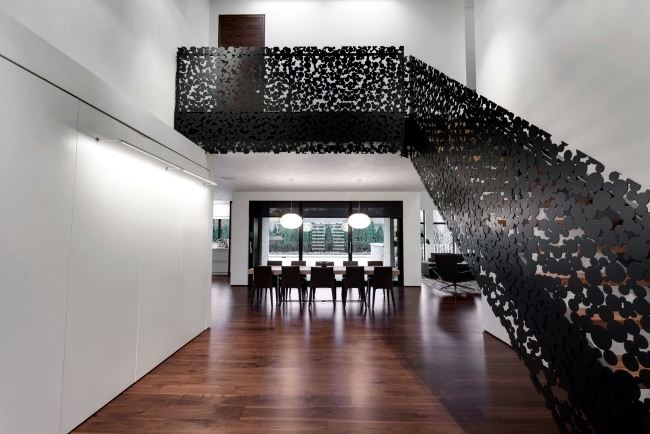 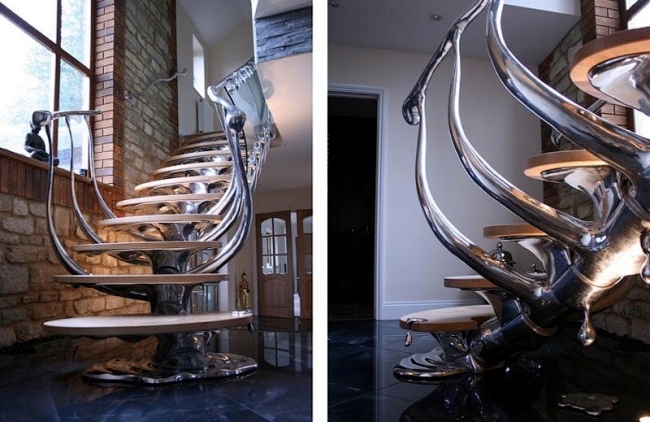 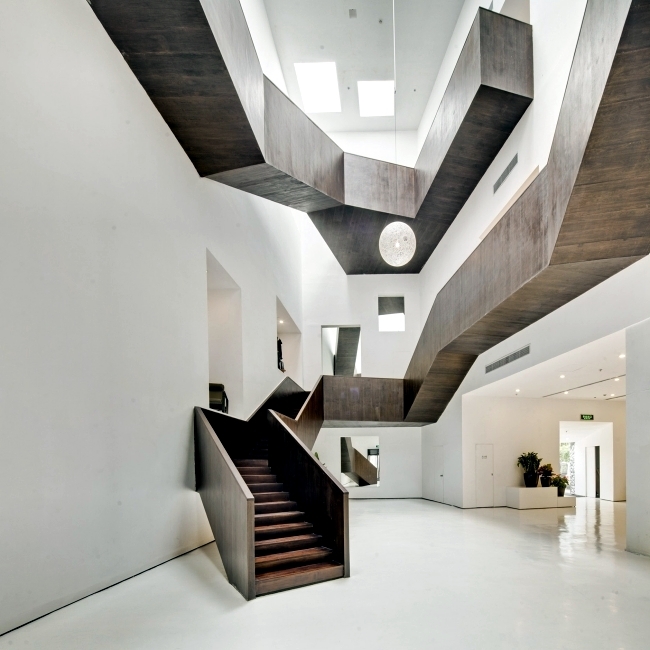 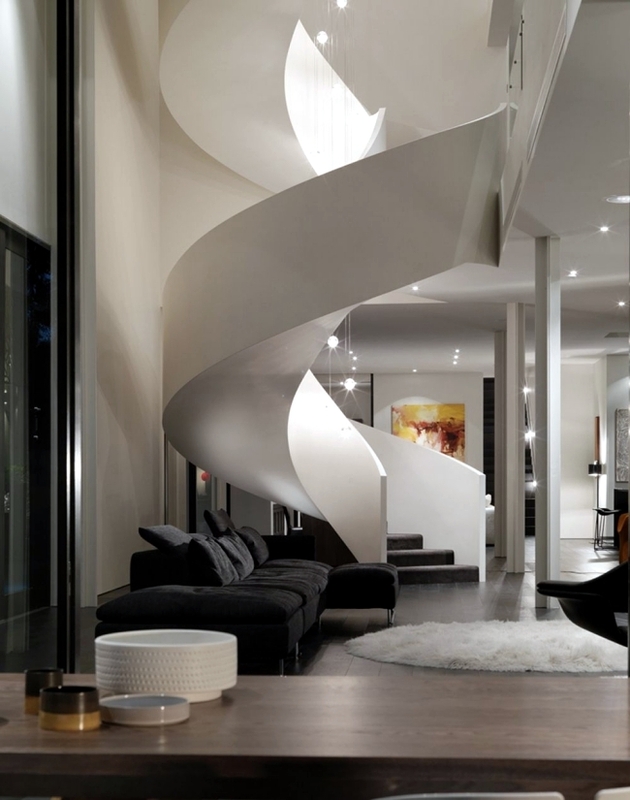 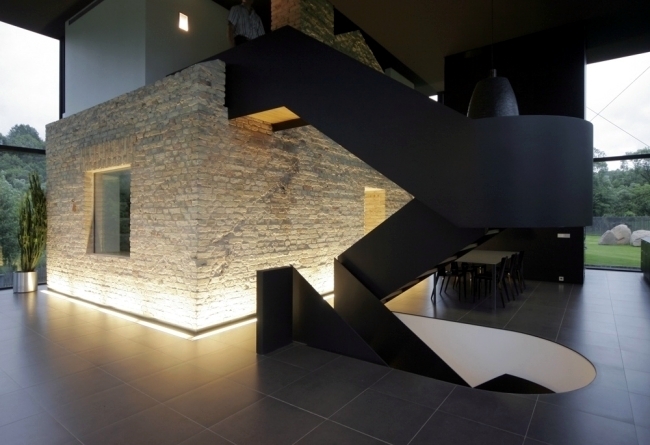 The modern steel staircase inside and outside for amazing design.